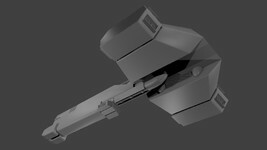 Today we have a mixed bag with a variety of nifty improvements to the Secret Ops Model Upgrade Pack. 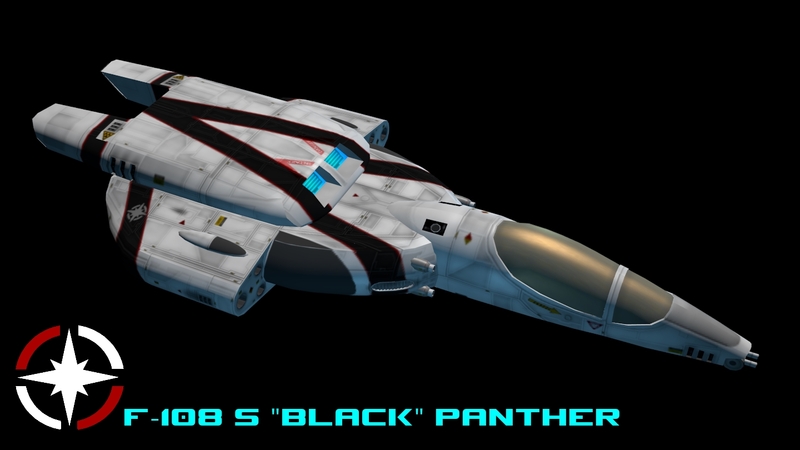 These are largely refinements where DefianceIndustries went back to apply newer graphical techniques to some of his earlier models as well as tightening up the Panther's geometry a bit to make it more true to the original. 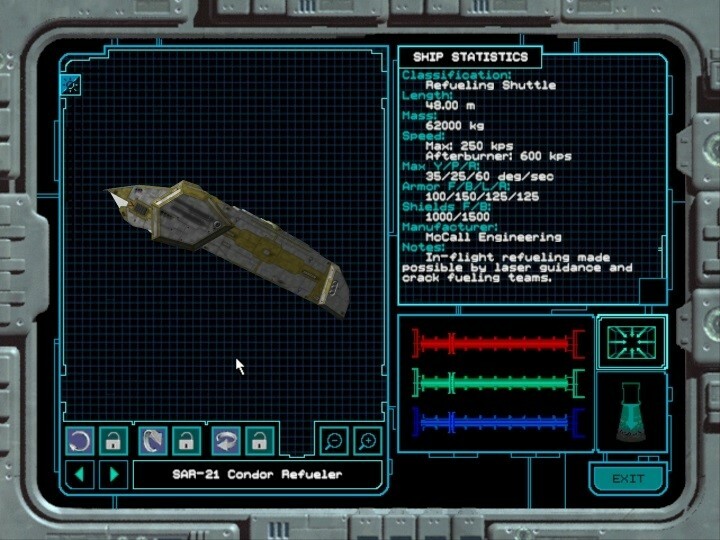 Additionally, there are also some test textures to try out some methods of coloring in the Nephilim ships with something exotic. Things keep looking better and better! I'm doing some fixes to the early MUP models that were built using PART chunks. 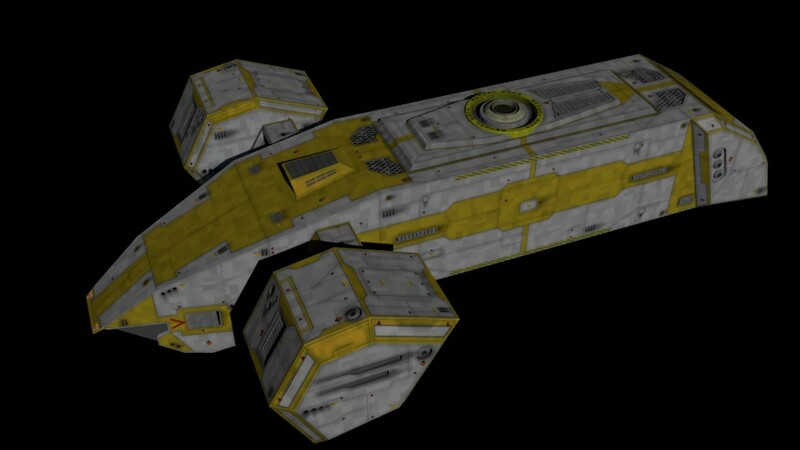 I've revised both the Piranha and Excalibur meshes, rounding edges, adding vents, punching in recessed panels and the like, not really planning on redoing them unless they look particularly dated. Thus far they look pretty good. 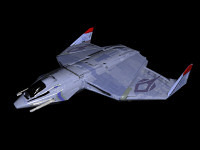 Also - The return of the Stormfire! 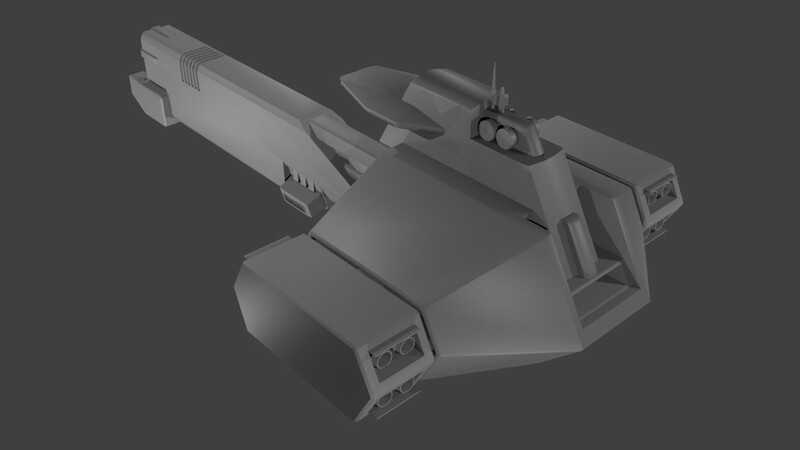 I'm also goofing around with some procedural textures in Blender to find a suitable base for Nephilim fighters and cap-ships. The plan is to bake them out and touch up the colors in PS, but I wanted to try and get that iridescent quality. Wing Commander Standoff is a masterpiece fan creation that closely follows the events of Wing Commander Fleet Action that led up to the Battle of Earth. It's the recipient of six Fan Project of the Year awards and is renowned for its captivating cutscenes, extensive voiceovers, branching gameplay and exciting action. 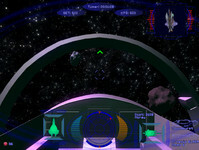 One thing that hasn't gotten a ton of attention is its music, and its little-known simulator tracks are even more obscure. 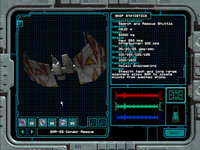 2fb recently found some of the work he did on these and has posted them alongside the slick title theme by Michael Mahadeen. You can find them at Soundcloud here. 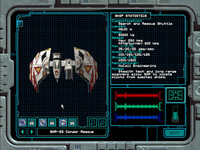 Similar to Wing Commander Prophecy's pumped up Cobalt 60 techno tracks available in the sim, 2fb attempted to put together a "Kilrathi-inspired" take on electronic music here. The results are mixed, but it's a really creative attempt! 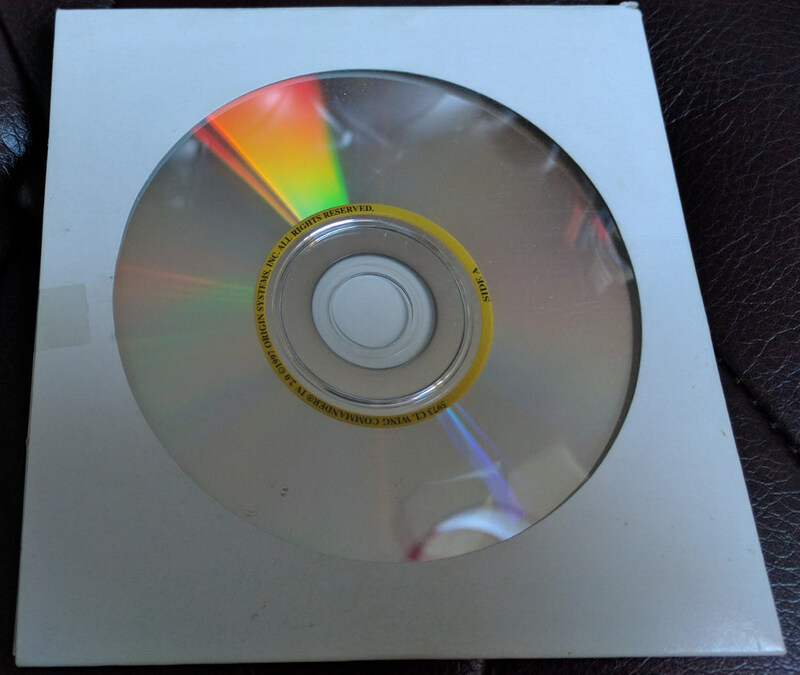 I just found the original file from the not-so-famous Sim music. 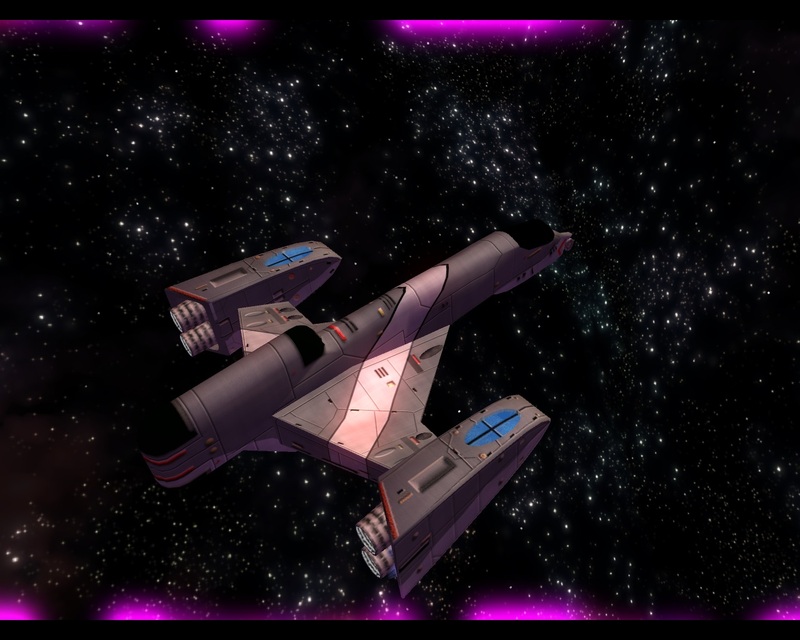 I really apologize for it, it seem that my experiment on Kilrathi interpretation of Terran Electronic music did not mix well with the action of the Sim missions. Anyway, you can find the music here at Soundcloud under creative commons license, with the additional Theme track made by Michael Mahadeen with the proper credit. The new year is off and running and somehow we're nearly a month in. 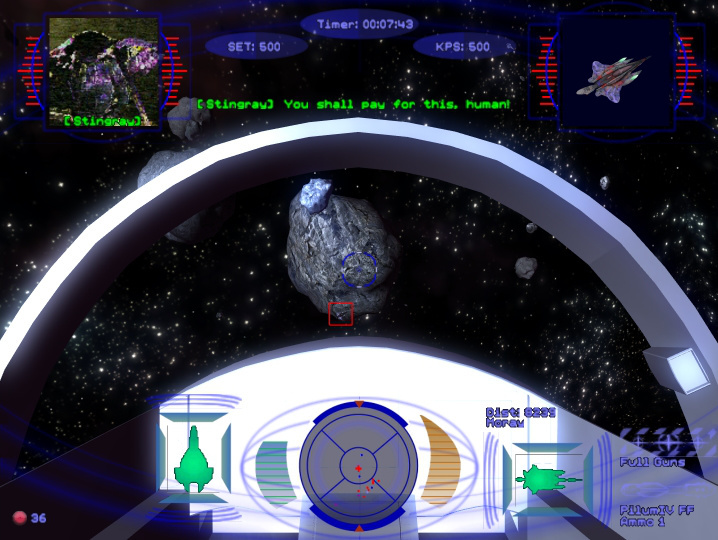 Fans have had several weeks to consider their ballots, and hundreds of votes have been cast for 2016 Wing Commander Fan Project and Website of the Year. Although all of the nominated fans did wonderful things over the past year, here's a few that Wingnuts have singled out for special recognition! The winner of Fan Project of the year is Wing Commander Flat Universe! Their existing release is already lots of fun, but the Maslas Brothers spent a good chunk of the year steadily building towards the next big iteration. 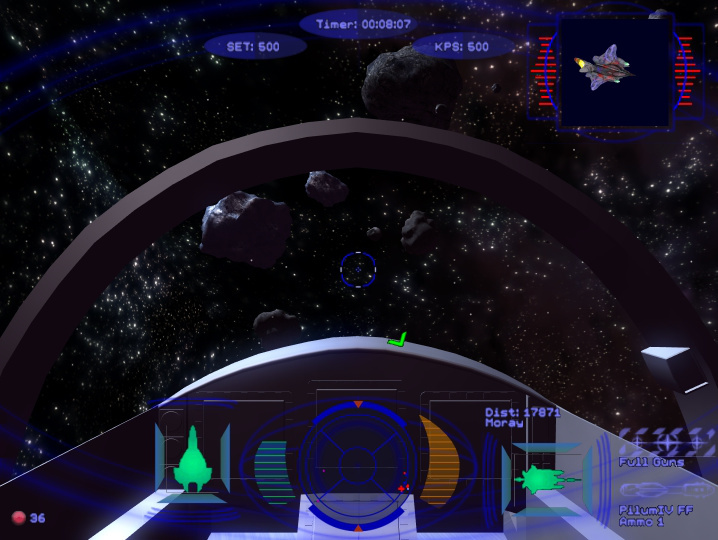 A few lucky fans even got to try out the new multiplayer mode in some preliminary testing! Once again we've chosen to select three runners up in the Fan Project category. All three got virtually identical scores, so it would be very hard to pick just one. 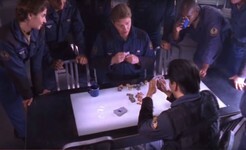 A tie also speaks to just how many impressive endeavors have fans excited and anxious for more. 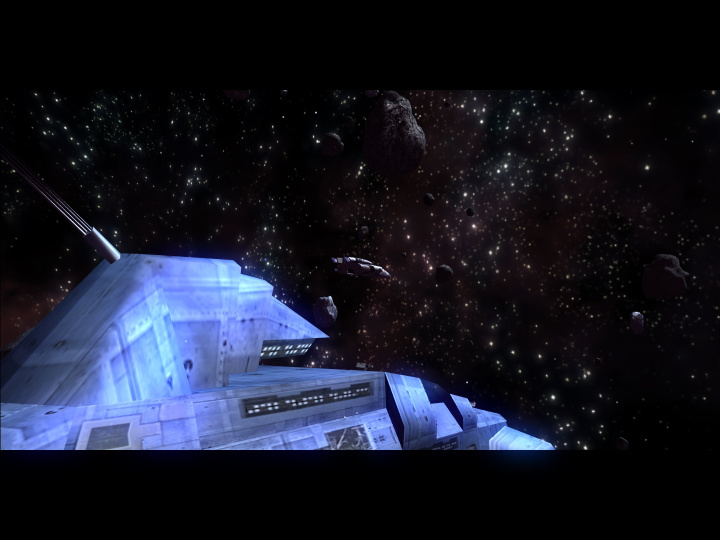 First up in the runners up category is the Homeworld Remastered Mod. Continued improvements are making the game more dynamic and innovative than could be imagined when it debuted as a WC4 conversion for the original Homeworld more than a decade ago. 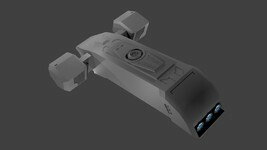 Another runner up is the Secret Ops Model Upgrade Pack. 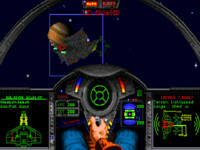 It simply looks gorgeous and breathes new life into one of the most accessible Wing Commander games. Fans also got a chance to start playtesting it recently as well. Last, but definitely not least, is a newcomer who's being awarded for the first time. The Enhanced Soundtracks project is our final runner up. Listening to them will make you want to go back and play the originals - but you might have these soundtracks on in the background instead of the music built in! In the website category, we've got a flip flop from last year. 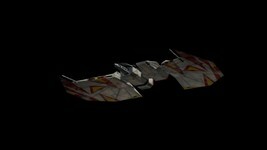 WCSaga.org surged to take the top spot as Wing Commander Website of the Year! 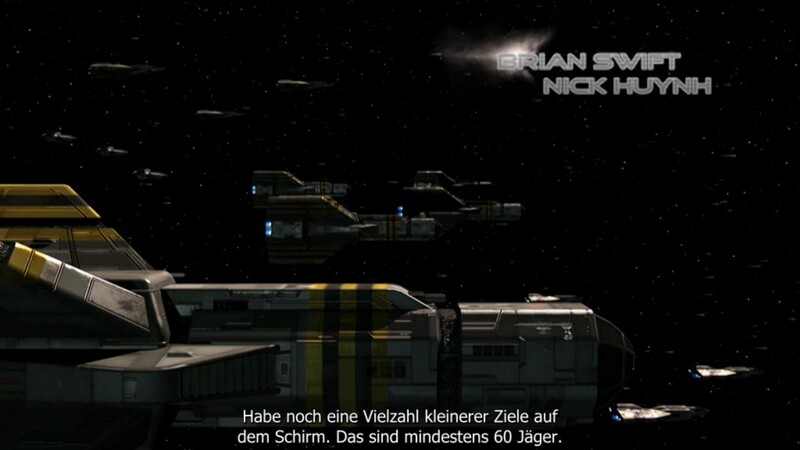 They serve as an essential hub for German Wing Commander fans, and the continued work to advance the Deutsch version of the WC Saga mod, plus keep the original going with new improvements, has endeared it to fans around the world. This year's website runner up is Daedalus Station! The pace of Destiny's Way updates may have slowed in 2016, but that's so the developers could continue their focus on Flat Universe. Expect more updates when the next big release nears! And that's another year on the books. Congrats to the winners, and thank you to all Wingnuts out there who continue to create and keep the community going strong! This is a reminder that you can still cast your votes in the CIC's Website and Fan Project of the Year contest. You can find a complete rundown of the 2016 nominees and their contributions in the original news report. If you feel that a website or project stood out from the rest and deserves special recognition, you can vote for them through the polling forms below. The winner will be announced soon! Here's a look at DefianceIndustries' latest Kilrathi fighter, the iconic Dralthi IV. 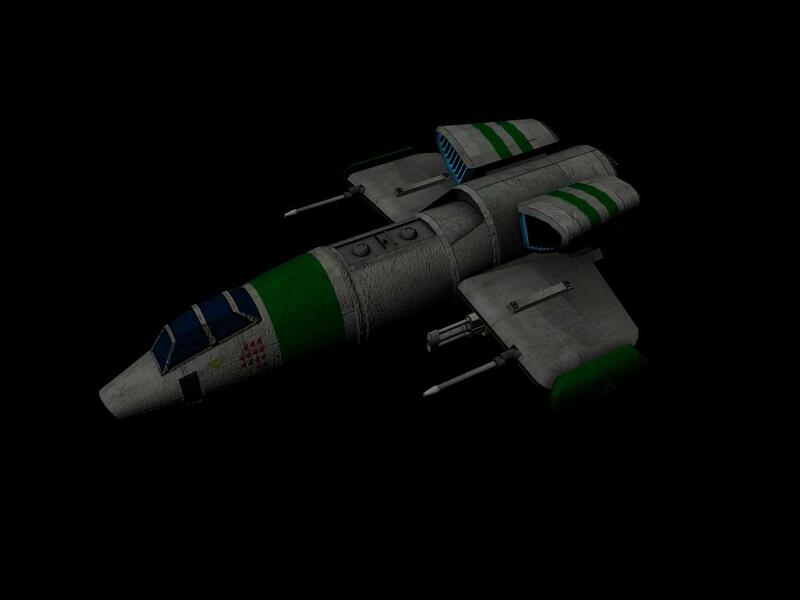 Although this won't play a part in the Secret Ops MUP, it'll have a small role if and when he managed to get around to a Prophecy model conversion in the future. While he was painting the Kilrathi durasteel, he also took the time to illustrate the exotic Kilrathi ace variant from Wing Commander 3. It's quite a visual treat! And let's not forget the long-lost Ace paint job. 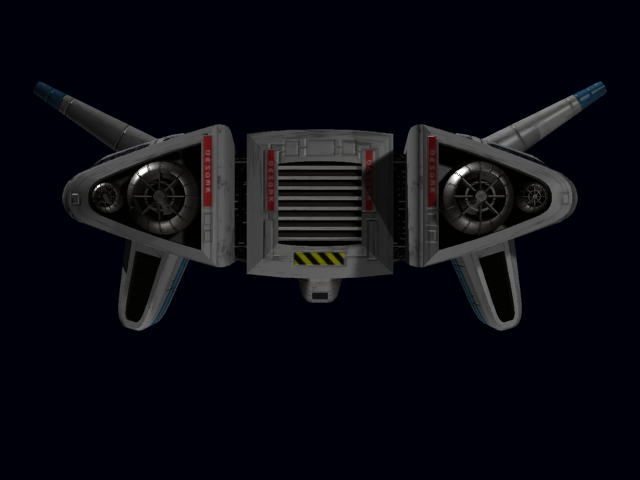 Certainly it will never appear in the stock games, but I've created a separate mesh and IFF set for it called "DralthiAce" which can be used in other mods or video projects. 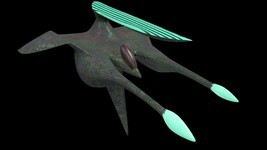 The Dralthi Ace is roughly 25% better than the standard Dralthi, it has better shields, gun power, recharge rates, and missile loadout. 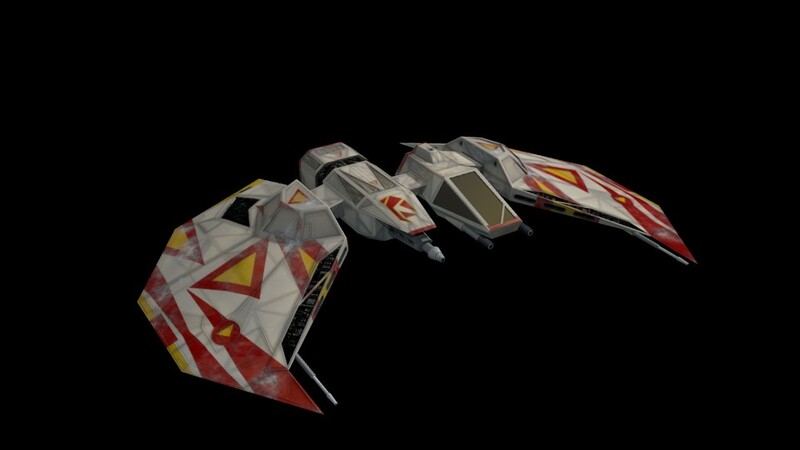 It maintained the standard armor of the original Dralthi, though its maneuverability is again 25% better in Y/P/R rates, its speed is about 50% better, though it has the same amount of afterburner fuel. It also carries slightly different guns. 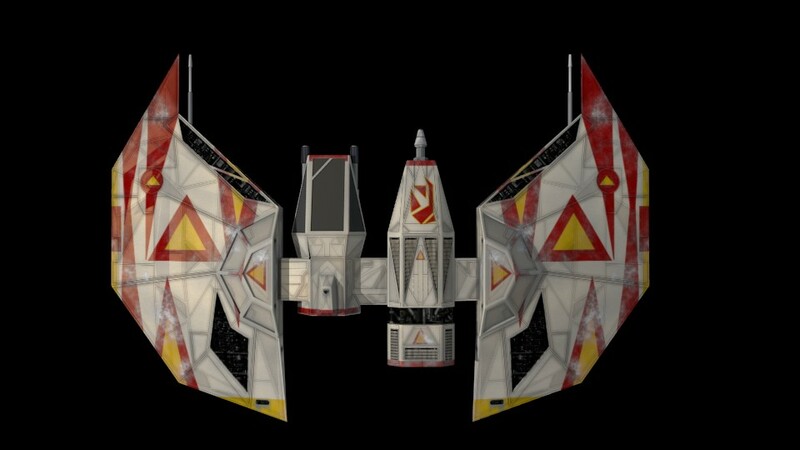 The lasers were moved to the proper outer wing housing (added these, the original WCP Dralthi ignores them and has lasers in the nose), the nose guns are now ion guns, and the big gun in the pod is still the traditional WCP tachyon. 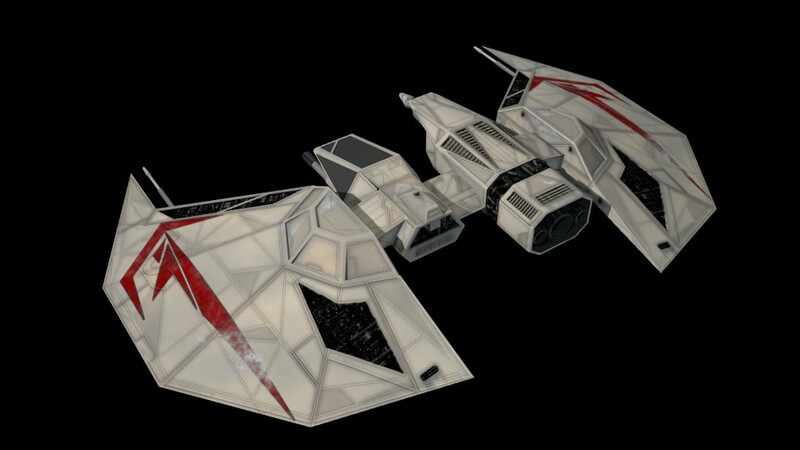 It's still a far cry from the Devil Ray, but it should present a challenge to any player who wants to go have some fun with it. 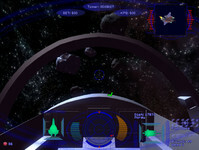 The OpenAI project has announced a virtual environment - dubbed the Universe - where it will allow artificial intelligences to train in front of a variety of virtual computing interfaces. Ultimately the goal is to enhance AI so that it can more seamlessly perform tasks in the real world, and this simulation is an interim learning step. Some of the modules are simple computing tasks, but a number of video games will also be used to provide the AIs different environments to interact with. 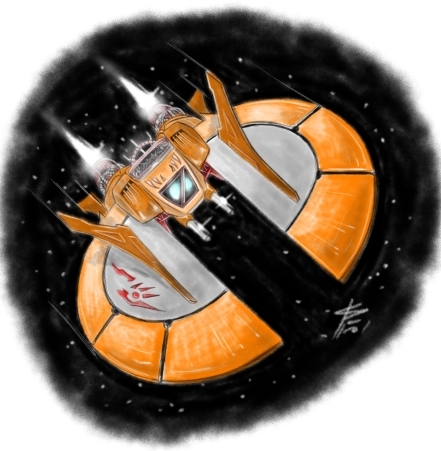 And of course, you would want your future robotic overlords to have good taste in video games, so Wing Commander 3 will be one of the games that they learn! 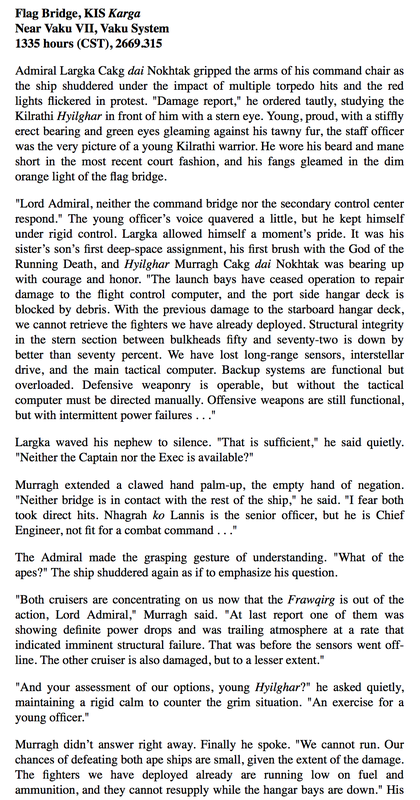 There's no word yet on whether they will be reading End Run and Fleet Action to have a broader appreciation of the Heart of the Tiger's context in the larger Wing Commander Universe. You can learn more about the project here. 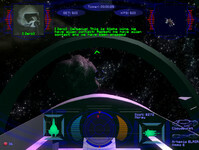 Universe allows an AI agent to use a computer like a human does: by looking at screen pixels and operating a virtual keyboard and mouse. We must train AI systems on the full range of tasks we expect them to solve, and Universe lets us train a single agent on any task a human can complete with a computer. Our goal is to develop a single AI agent that can flexibly apply its past experience on Universe environments to quickly master unfamiliar, difficult environments, which would be a major step towards general intelligence. There are many ways to help: giving us permission on your games, training agents across Universe tasks, (soon) integrating new games, or (soon) playing the games. 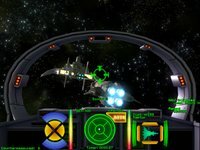 With support from EA, Microsoft Studios, Valve, Wolfram, and many others, we've already secured permission for Universe AI agents to freely access games and applications such as Portal, Fable Anniversary, World of Goo, RimWorld, Slime Rancher, Shovel Knight, SpaceChem, Wing Commander III, Command & Conquer: Red Alert 2, Syndicate, Magic Carpet, Mirror's Edge, Sid Meier's Alpha Centauri, and Wolfram Mathematica. We look forward to integrating these and many more. This past weekend we posted a nifty German edition of WC4 that was new to us, and now there's a cool ad for WC3 Playstation that we hadn't seen before either. FMVStory found this play on "softwear" that features a funky outfit and a Dralthi IV. 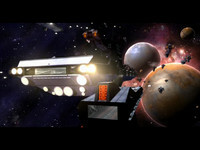 It compares this "breathtaking galactic ensemble" to the equally amazing new game from Origin. I have to say I'm partial to the second page of the ad! You can find more advertisements and promotional items from the Wing Commander series in the CIC document archive. 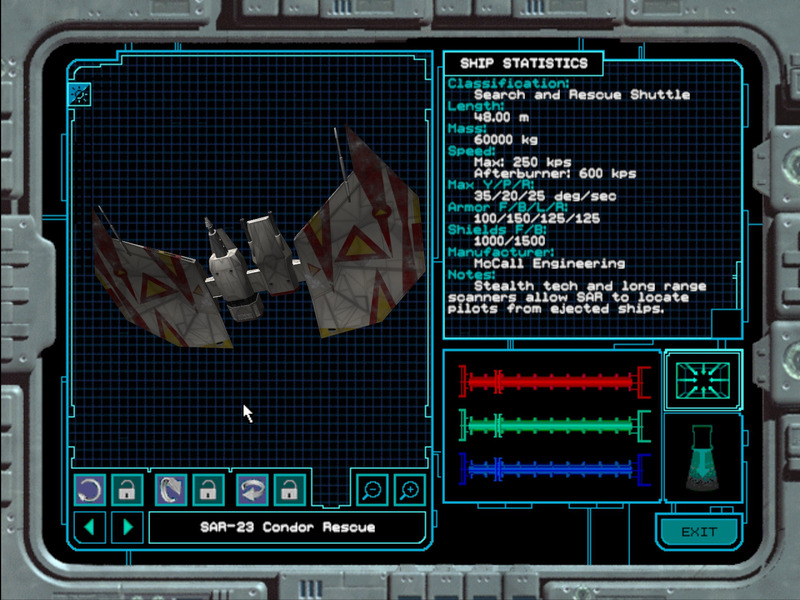 Today's post won't be much help if you're trying to blend wings, but the new update to Wing Blender will assist your Vision Engine modding! 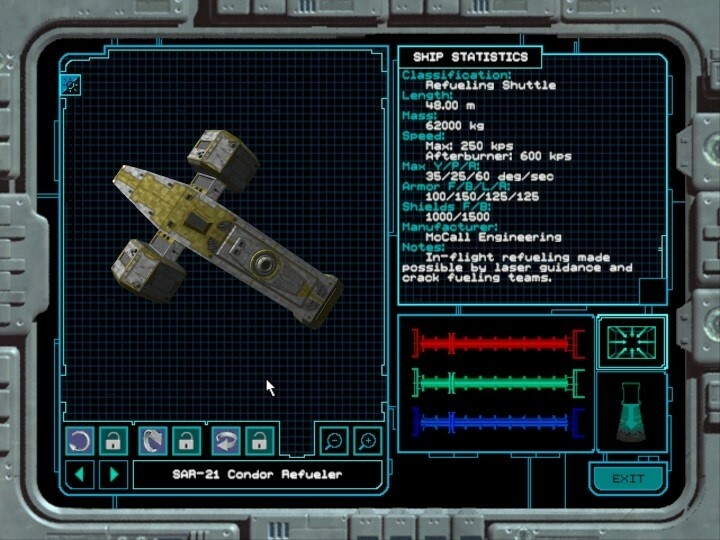 New version 2.1.1 fixes issues when trying to import models from multiple directories, addresses a bug where face textures don't appear and now recognizes light flag settings. 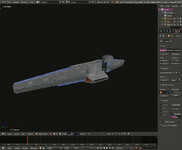 All of this could come in handy if you're trying to import or export models into Blender for your fan project of choice - or even if you're just poking around! 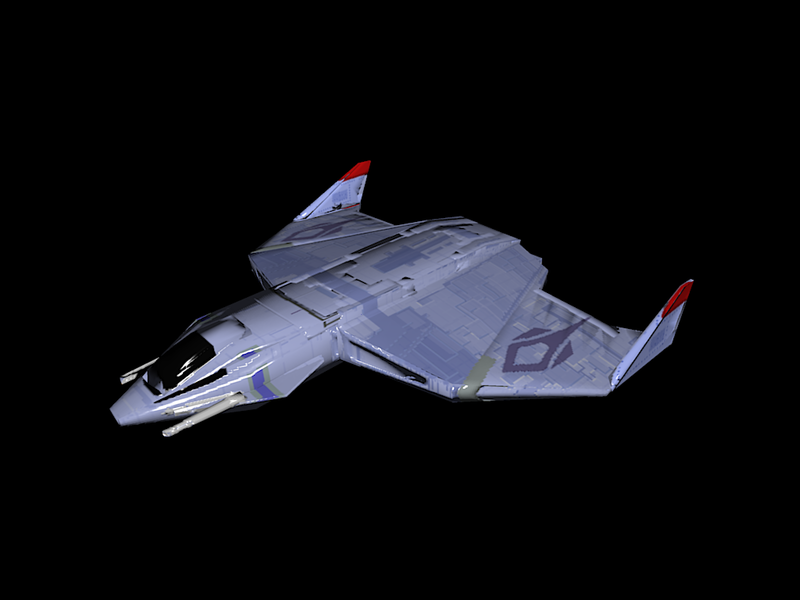 Wing Blender is an import/export plugin for Blender 2.65+ that allows you to export a VISION engine (Wing Commander: Prophecy, Wing Commander: Secret Ops) IFF 3D model, or import a VISION engine IFF 3D model into Blender. This means you'll be able to do most of your work in Blender, and then export it directly to VISION engine .IFF format without the need to use other programs to set or modify model metadata, such as the collision sphere, center/radius of each LOD, or hardpoints. 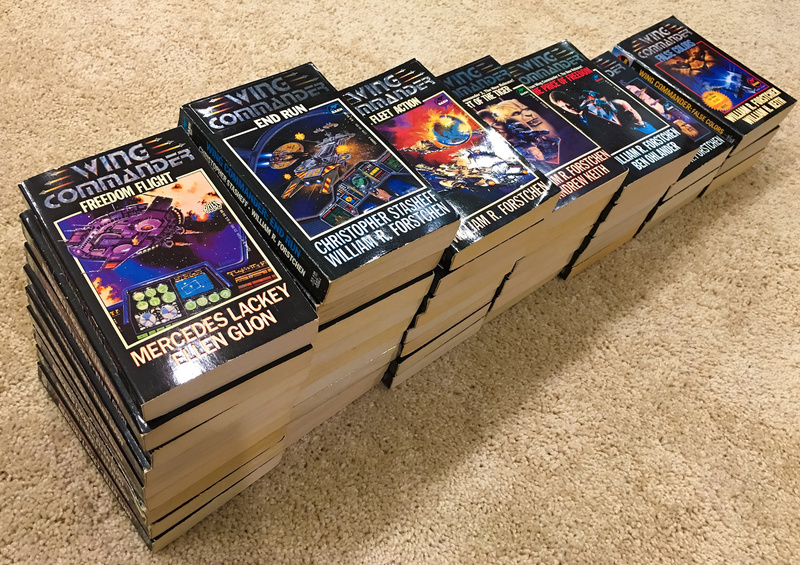 It's not very often that the CIC staff comes across a Wing Commander product that's completely new to us, but Pascal made our day with this special edition of Wing Commander 4! 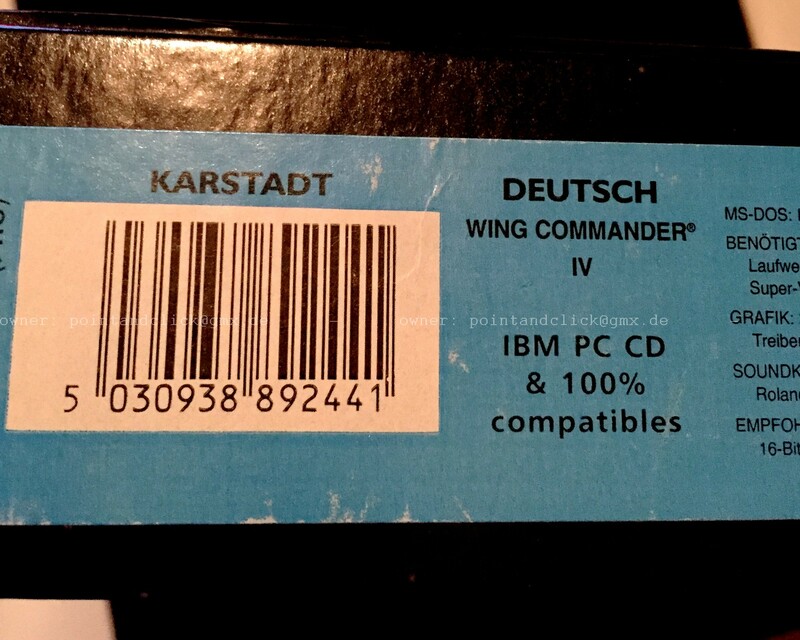 It was apparently sold only at the Karstadt department store in Germany, and it amazingly came with a pilot badge collectible. 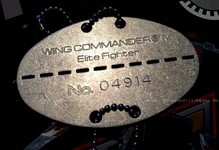 The medal is labeled Wing Commander 4 "Elite Fighter" and comes numbered. Pascal notes that these aren't very common even in Germany, so he's a lucky fan to have one in his collection! This German WC IV "Sonder-Edition" (special edition) comes with a "Fliegermarke" (pilot's badge). 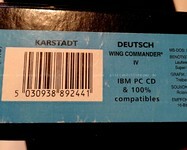 It was exclusivly sold at Karstadt (a German department store chain); see the printed company name on the Box. You don't see it very often in Germany - don't know how many were made/ sold. 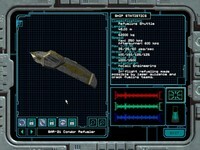 Here are some shots of the cool asteroid upgrades that DefianceIndustries has cooked up for Secret Ops Model Upgrade Pack. 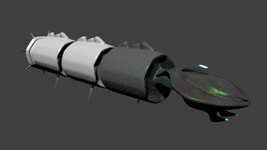 Improvements aren't just being made to ships, and since the rocks are modeled just like everything else, they're getting jazzed up too! DI has done some work on each of the sizes and played with the asteroid shapes to see how they respond. After some tweaks, he's come up with an upgraded field that works well and looks good too! 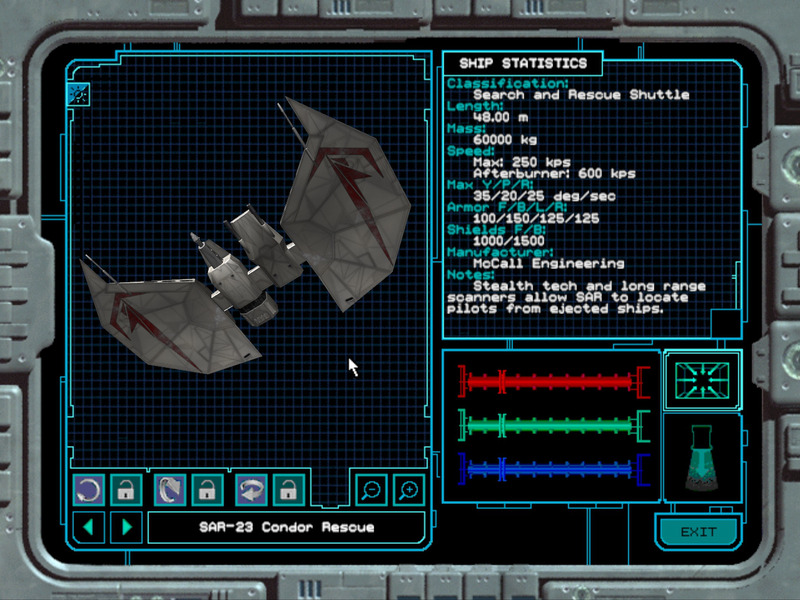 Attached are some final images on what you can expect your new and improved asteroid fields to look like. 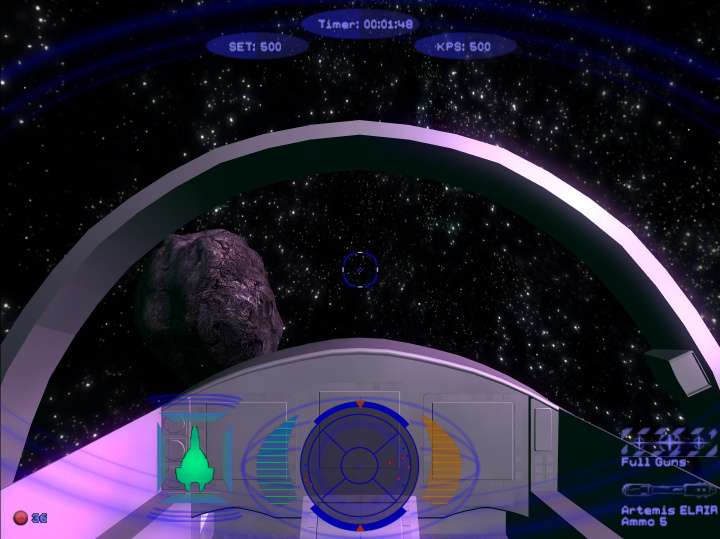 As an aside, I did some experimenting with the collision spheres, and found that by reshaping them, the game imparts some pretty crazy spins on some of the asteroids. 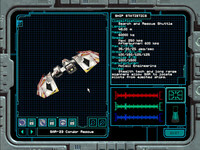 All the ones for the MUP are the original spherical ones though as the crazy spin, while it looked cool (and very Star Wars) caused more than a few AI deaths (far more than usual). 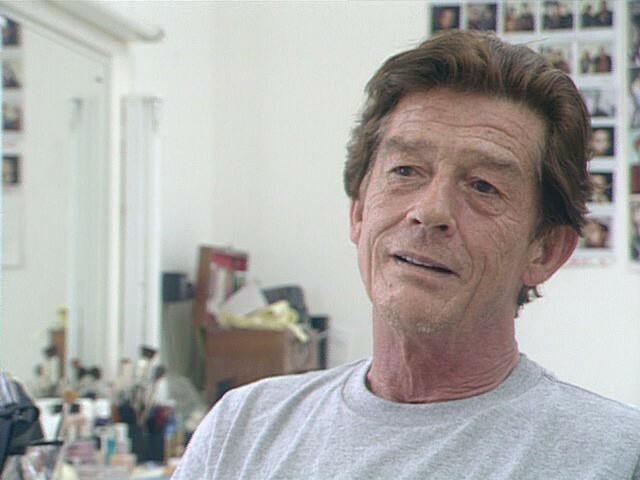 Tom Wilson has been confirmed as a guest for the London Film & Comic Con this July. Wilson will have appearances on all three days of the convention, which is slated for Friday 28 to Sunday 30. 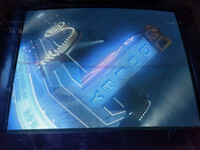 Visitors can attend a Back to the Future talk, and there will be various photo and autograph opportunities. A diamond convention pass guarantees the most interaction with the Maniac. 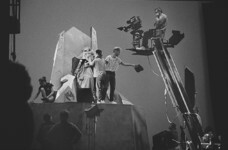 Other guests from notable sci-fi franchises include Richard Dean Anderson, Wil Wheaton and Walter Koenig. 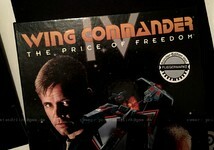 Pix has posted an awesome story about getting the DVD edition of Wing Commander 4 to run. 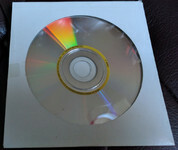 WC4 DVD was only released as part of a specific Creative Labs Encore DVD-ROM bundle, and as such it was designed specifically to work with the DXR2 (and DXR3) decoder board. Pix highlights a fun alternate method utilizing the REALmagic Hollywood Plus decoder card, which happened to also be compatible. 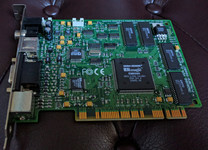 Until gulikoza's DXMCI patch was developed, rigging up a hardware solution like this was the only option to experience the game's high quality video. Today it's even easier with the GOG version of WC4, but I'm sure the sense of accomplishment Pix experienced building this authentic original setup was worth it! 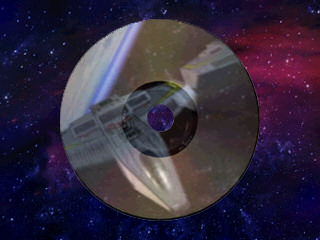 Find the full DVD adventure here. You can also check him out getting WC1 working on an old Tandy here. 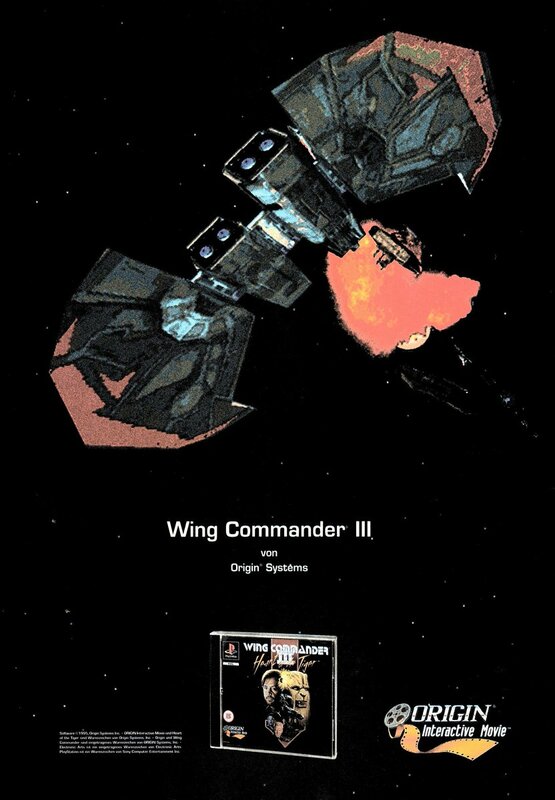 As something of a follow-up to my attempts to get Wing Commander 1 running on an ancient Tandy, I thought I shouldn't neglect what was for a long time my Wing Commander game of choice, Wing Commander 4. 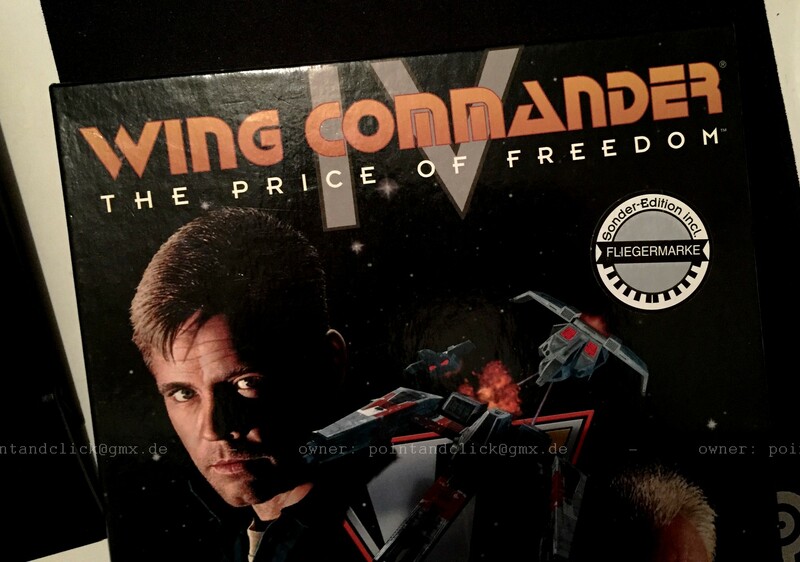 The only version ever sold in stores was on CD-ROM's but in the mid to late 90's, Creative released a bundle with a 2x DVD drive, MPEG-2 decoder and best of all a DVD-enhanced edition of Wing Commander 4. This bundle was the only way to get hold of this DVD as it was never made available in any other way that I'm aware of. 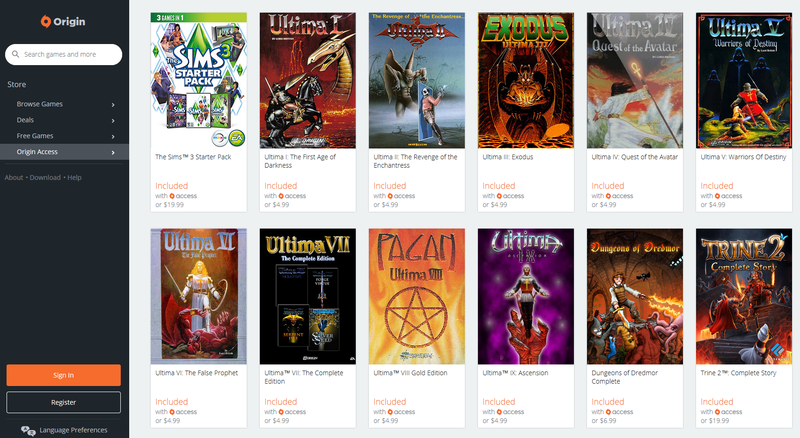 Origin Games Added to Origin Access Vault! There's great news for subscribers to the aptly-named Origin Access service! 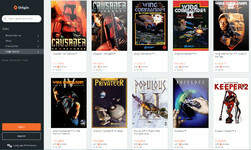 The plan now includes Origin classics like the Ultima series, Crusader games and Wing Commander (1-4, plus Privateer). 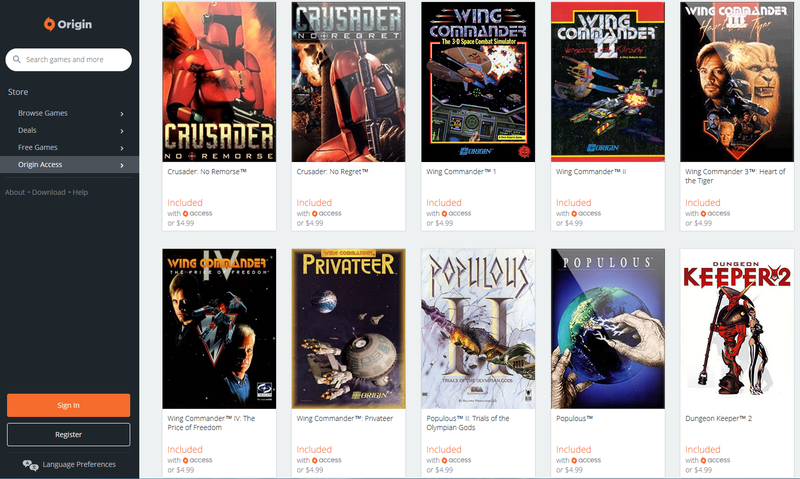 Although we'd recommend that Wingnuts just go ahead and pick up permanent digital purchases of the series whenever Origin or GOG have a sale, the benefit here is that a large core of existing subscribers now have "free" access to the Wing Commander series. Quite a few people do pay the $4.99 monthly fee for membership so that they can play a handful of relatively new EA games, get a 10% discount on digital purchases and try out certain new titles early. Welcome aboard to all those new pilots! You can find out more information here. Great PC games, unlimited play. 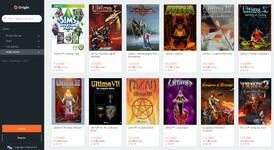 * Unlimited access to an ever-growing collection of great PC games. 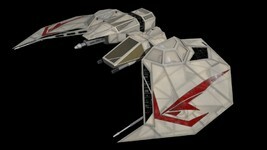 Here's a really cool artifact for Origin fans out there. James was going through some old things and found this nifty postcard he received from OSI. 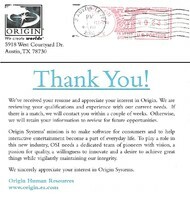 It's an acknowledgement letter sent out to potential applicants who had submitted resumes. It was probably for the better that he didn't get the job, as this was postmarked in early February 2004. 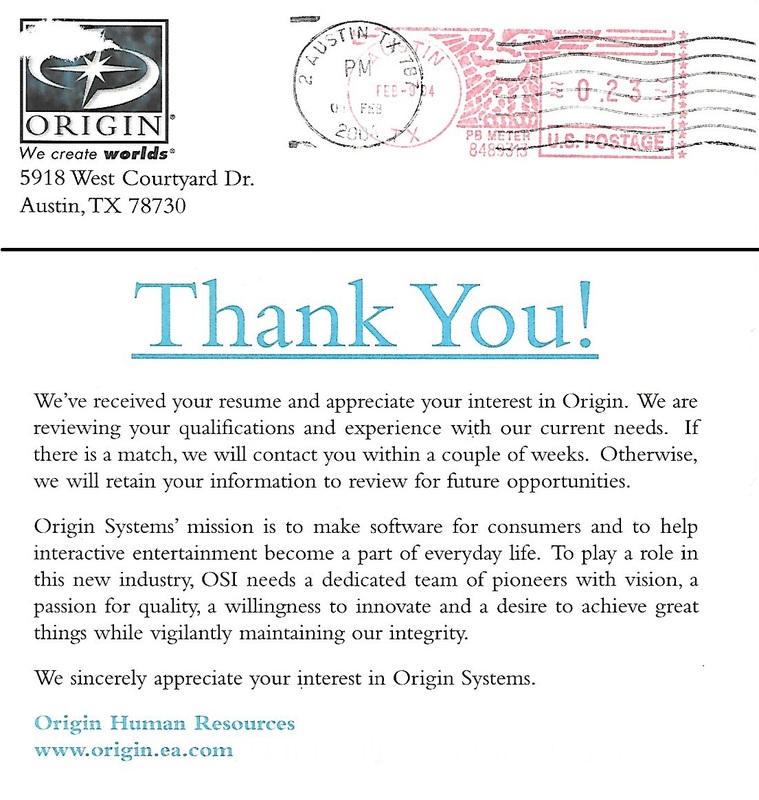 Just a couple weeks later, we shared the news that Origin Studios would be closing and its Austin-based employees would be laid off in the months that followed. So this is probably one of the last rejection letters to go out, since the company would have stopped accepting applications very soon thereafter! 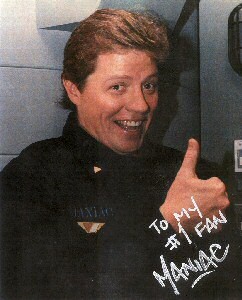 I was digging through some old boxes of junk and found this postcard. (Header from front (without my address) & entire backside) You know you like/admire a place when you even keep their rejection postcard from 2004! 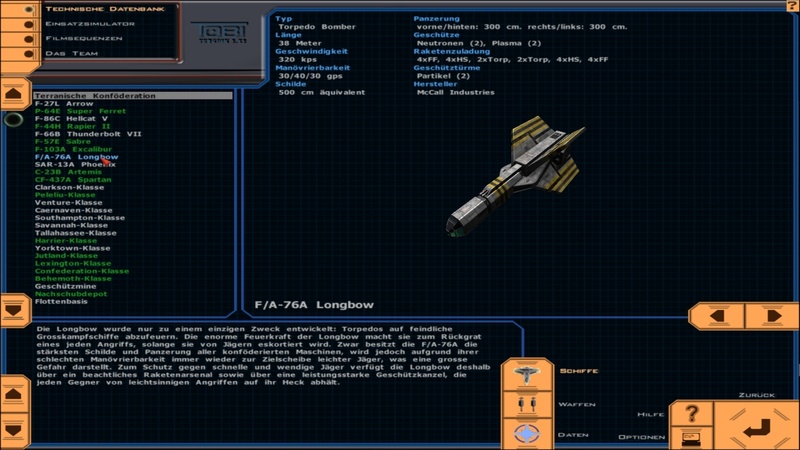 The current Secret Ops MUP alpha test is all about fighter craft, but the capships are definitely coming. 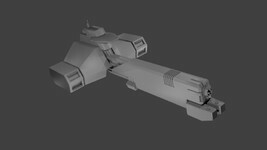 Check out this preview of the badass Murphy class destroyer for a taste of what to expect. 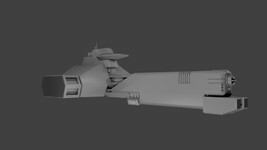 It'll have some technical upgrades when it arrives in the game with both the small hangar bay and large plasma gun available as targetable components. DefianceIndustries is even trying to figure out how to get the big nose cannon to fire like the Cerberus' main plasma gun! While we continue to work on a functional alpha deployment, I haven't been too terribly idle. 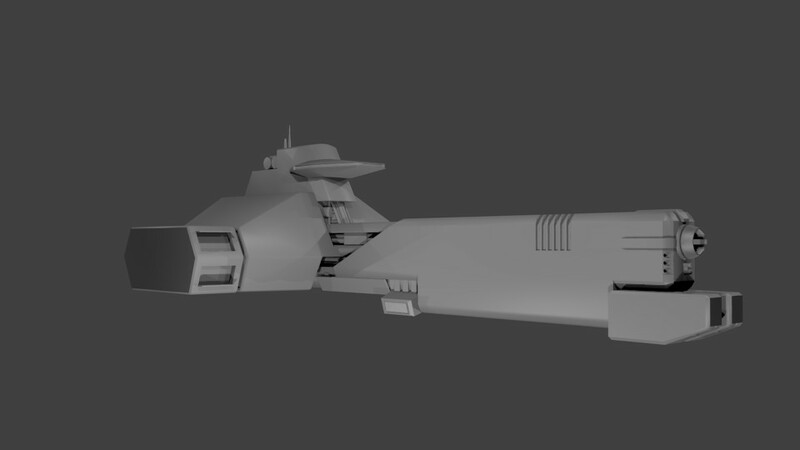 The Condor tanker is coming along and I've also managed to model out a new Murphy destroyer. 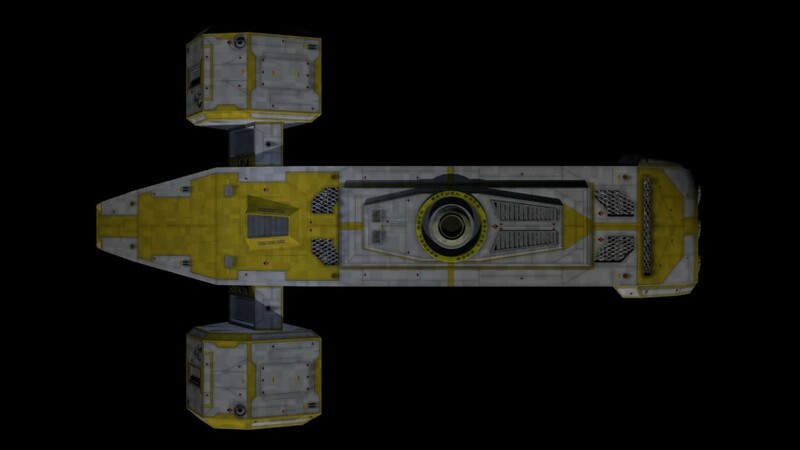 I found the original model line drawings while nosing around and while I liked my original Murphy model, it wasn't as true to the original as I would have liked, so I redid it. I also plan on a few improvements, I plan on adding two destroyable components: the hangar and the MkIV Plasma gun. 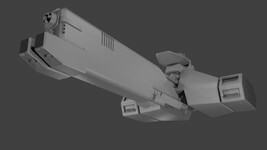 The hangar is straightforward, the plasma gun I will probably use the PLASMA chunk and modify the ship .IFF. I don't know if it will be functional, I don't think there's an entry for it in the weapons file, but I could just reuse the plasma turret effects from the Cerberus and call it good. Either way, it should look better when it's all blown up. There's great news for fans who are eagerly awaiting the next big upgrade to Wing Commander Flat Universe. 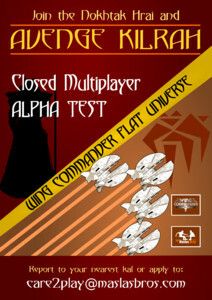 The Maslas Brothers are now accepting requests to join their closed alpha multiplayer test! If you have the time to meet for a handful of scheduled matches and are itching to dogfight with fellow Wingnuts, hit up the email in the enclosed flyers. Have fun, pilots! Happy new year to every single Wingnut out there! Today, while I was driving my way to work I got myself stuck into a traffic jam. It was a sunny day and I had my window open: the perfect timing that a teenager needed to throw a leaflet inside your car and disappear in an instant. It was striking that this time, instead of a teenager, a middle aged man dressed in his blue navy uniform knocked my window. He smiled and gave me the first piece of paper above. Fifteen minutes later and half a kilometer away from my previous position I was shocked to see that a huge feline bipedal creature, without much talking threw to me another leaflet that it looked like the second one above. After that shock I've learned my lesson and closed the window for the rest of my trip. 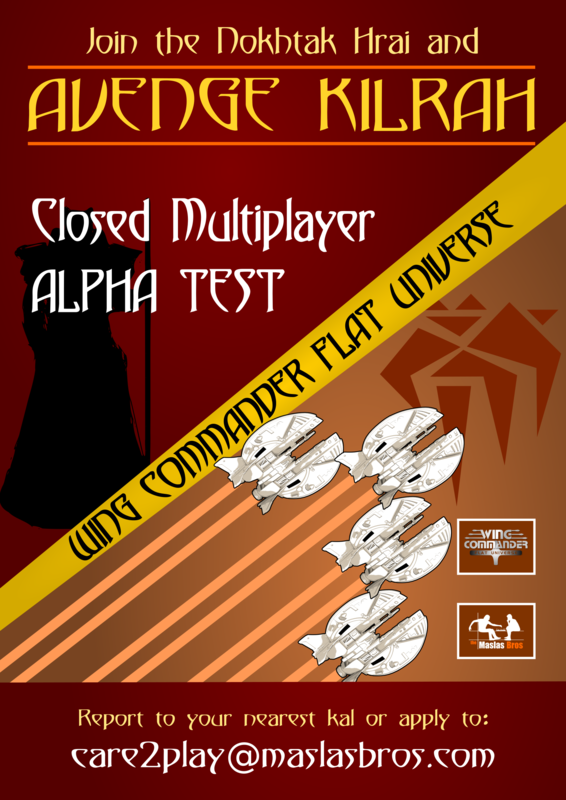 The closed multiplayer alpha test of FlatUniverse is going to be a reality. If anyone of you guys is interested in participating please feel free to contact with us. To accept your application we are going to need from you a user name, a valid email address, your time zone and an estimation of the days and the time that you will be available to play FlatUniverse. 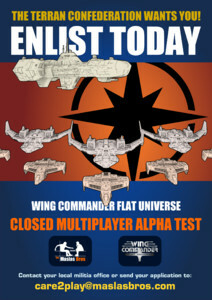 I must warn you that the positions will be limited to the needs of the alpha testing, therefore forgive us if anyone of you won't be accepted for the time being. We will reply to your applications with more detailed information regarding the tests and a complete time schedule. Both of our annual community votes are now in full swing, and you still have a chance to cast your ballot if you missed the initial kickoff. A long list of talented Wing Commander endeavors are in the running for Fan Project and Website of the Year. All of them have made fantastic contributions over the past twelve months, but which ones made the biggest impact on you? Or which do you think demonstrated the most creativity or talent? Pick one from each category below and help recognize the best of 2016! Check out our previous update for a full summary of what made each nominee stand out last year. 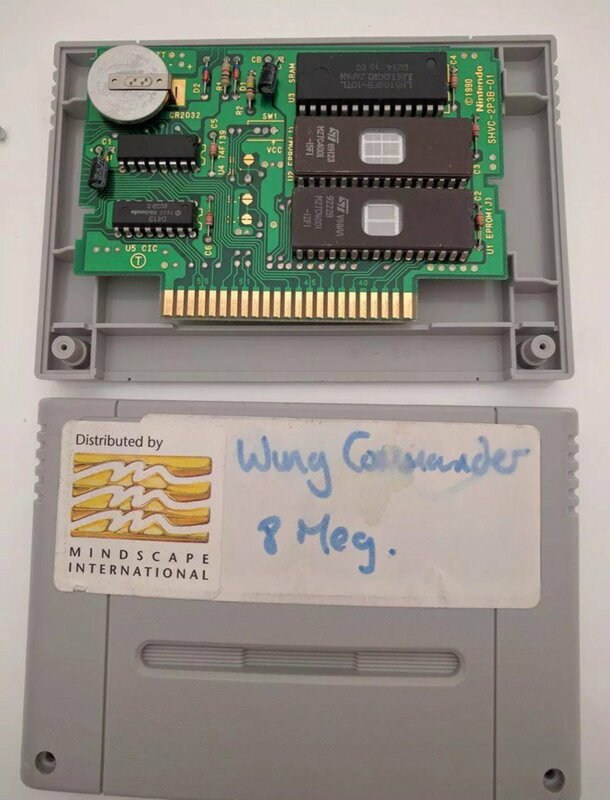 A while back, LOAF managed to snag a prototype of Wing Commander for the Super Nintendo off eBay. 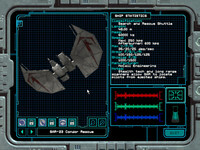 This general purpose game pak originated at MindScape, who were responsible for porting both Wing Commander and Secret Missions to the Nintendo console. 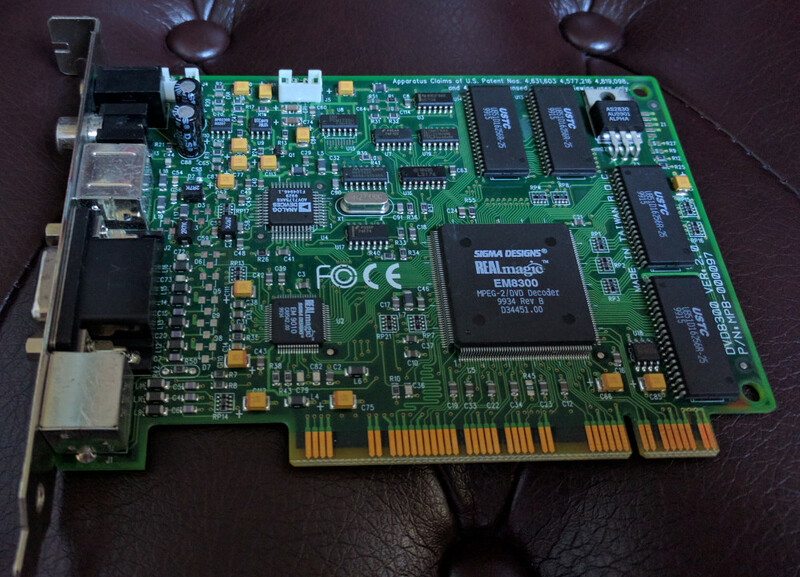 It has room for two EPROMs that contain game code and some SRAM memory that could potentially serve various purposes, notably keeping savegames alive when paired with a battery. The CIC chip prevents piracy and facilitates region lockouts. 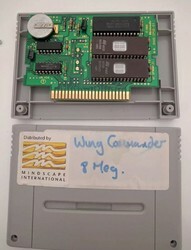 Wing Commander for the SNES doesn't have a true save feature. 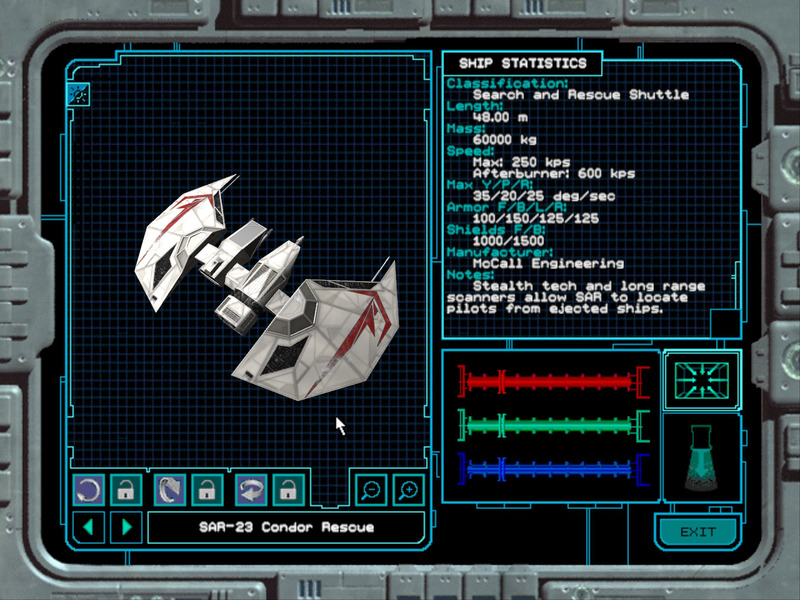 Instead, the game generates codes for keeping track of your progress, obviating the need for SRAM and battery. The circuit board used in production copies is a lot smaller: it only has one EPROM chip (sufficient to hold the program code) and a CIC chip for security. L.I.F. 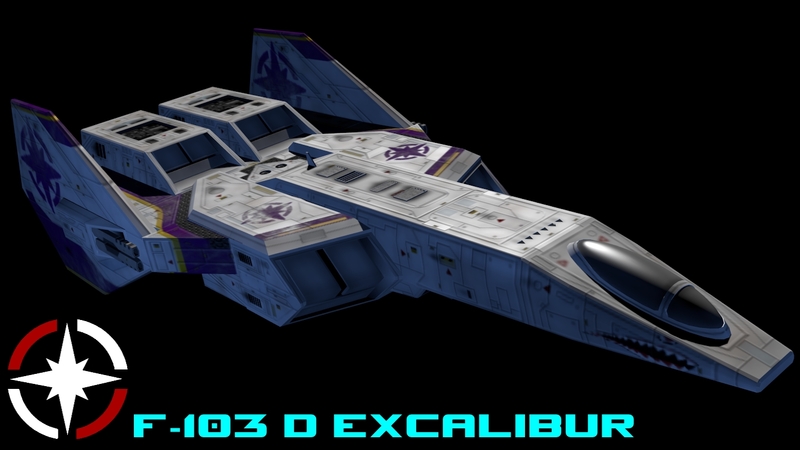 has updated his helpful Homeworld Remastered Mod unit guide with the Kilrathi ships available in the game. Find the PDF here and start learning about how to best deploy your forces. In addition to the program being hosted at the Steam Workshop, fans who own the GOG version of Homeworld Remastered also can now get the current version of the mod here. 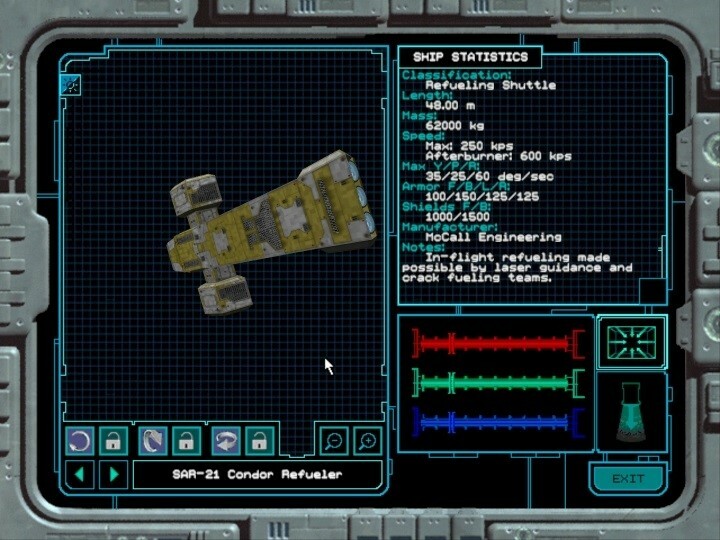 The latest updates have included new options for resource collection with a very cool supply transport feature that jumps in to bring valuable resources to your base. Aaaaand it's live! 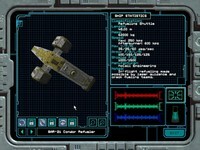 A pal from Phoenix Interactive told me how to get AIs to consider convoy transports as priority units to defend or attack specifically. 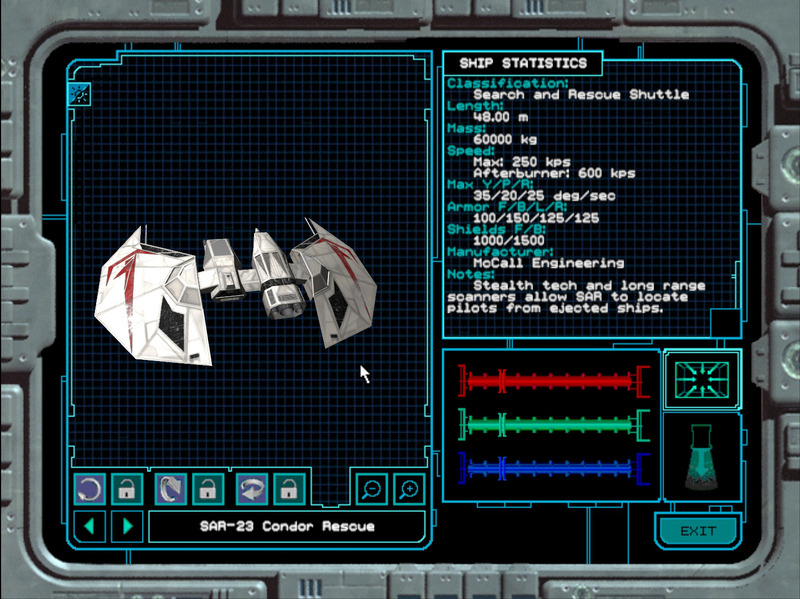 I might rework the stuff later on to give the AIs specific raid/counter-raid tactics, but even now, it should give you people an interesting challenge to find and take out the enemy transports. Don't forget to set the Bounty option to "on" so you can grab some juicy bounties from the downed transports. 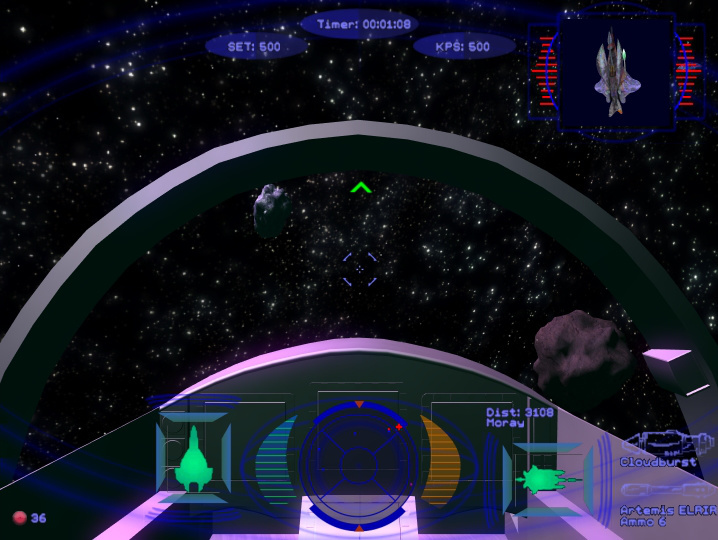 In a more general Homeworld news, the Complex mod got released in its new version, and I gotta admit, they did a superb job on the User Interface. What it does mean is that the next updates, during this month, will be less about new content or features and a lot more about improving the User Interface. 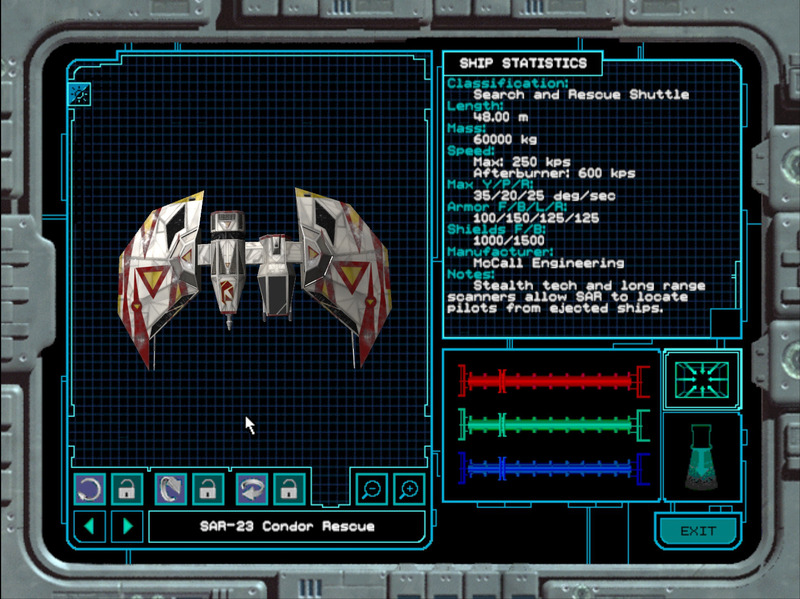 Getting the fuel to show properly as a value in the screen, bigger icons, etc. Before we get too far into the year, we need to remind fans that their 1995 calendars are good as new again! Just like in 2006, the special WC3 calendars included in the Premiere Edition direct from EA can be used in 2017 since all of the days match up. 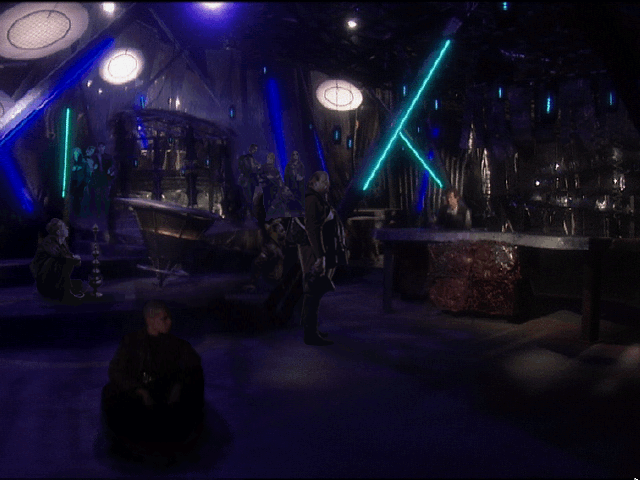 Note that this is not the same as the more common Kilrathi Saga calendar made for 1997. That one will have to stay in storage until 2025! Sale at the Kindle Store! There's lots of book news already this month! 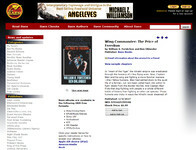 Amazon.com has discounted the recently released Wing Commander novels available in its Kindle library. This is the ebook discount we've seen aside from the monthly Baen bundles. Freedom Flight appears to be $6.99 still, but Fleet Action, Heart of the Tiger and The Price of Freedom are each 23% off at $5.38. 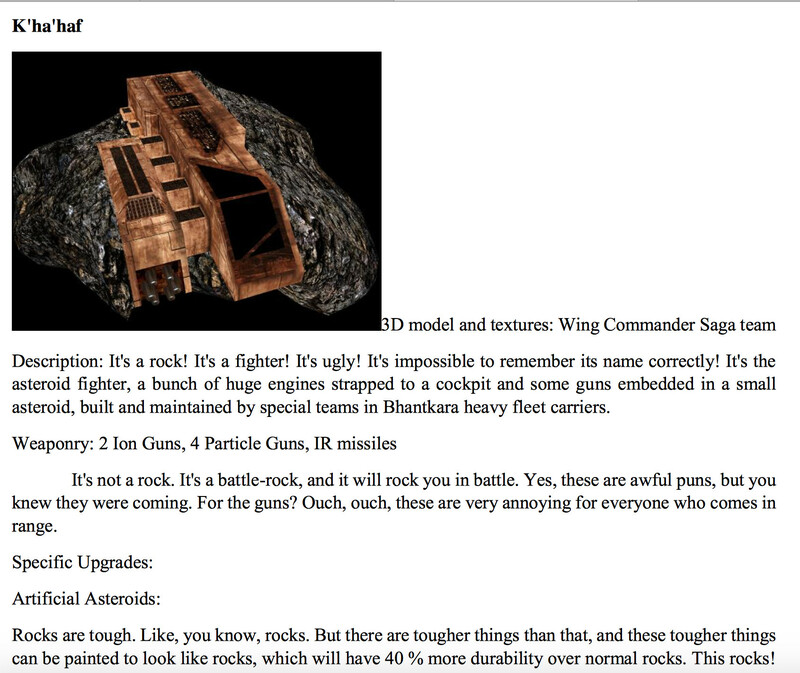 This doesn't appear to have translated across to Baen's site, iBooks or the other storefronts. But if you haven't picked up the latest trio of WC ebooks, now's your chance to save a few bucks! DefianceIndustries' latest ship might look like the familiar Search and Rescue ship he completed last month, but this is actually the tanker/refueler version. 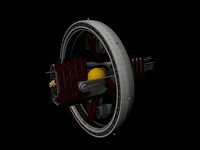 It has a slightly different model to account for the docking port that transfers munitions and fuel. 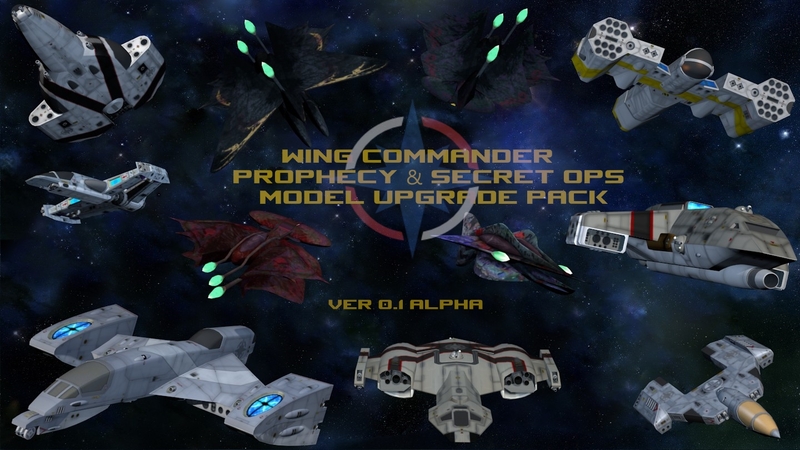 Although it won't see action in the Secret Ops MUP due to its sole appearance in Prophecy, this bodes well for our chances of seeing the enhancement pack make the leap over to its Vision Engine sibling after the current upgrade is complete. You can learn more about the project and try out the first alpha release here! False Colors Confirmed for April! 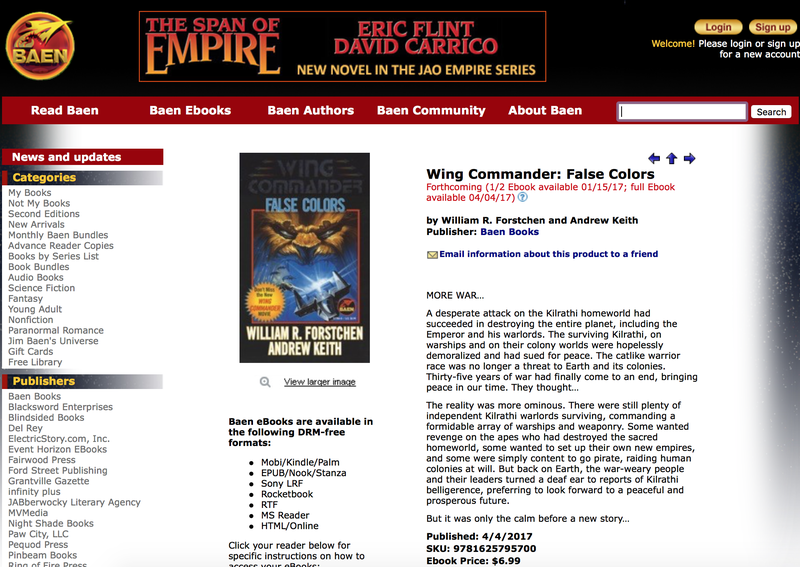 Hot on the heels of TPoF's release, Baen has confirmed a date for Wing Commander False Colors! It will become available electronically on April 4, 2017 - about a month after Action Stations. 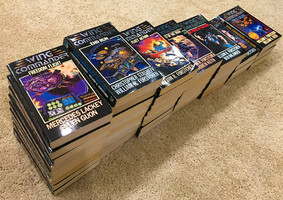 The first half will become available this Sunday to those who preorder from Baen direct, and there's also an option to get it and half a dozen books at a discounted rate as part of the April Bundle. 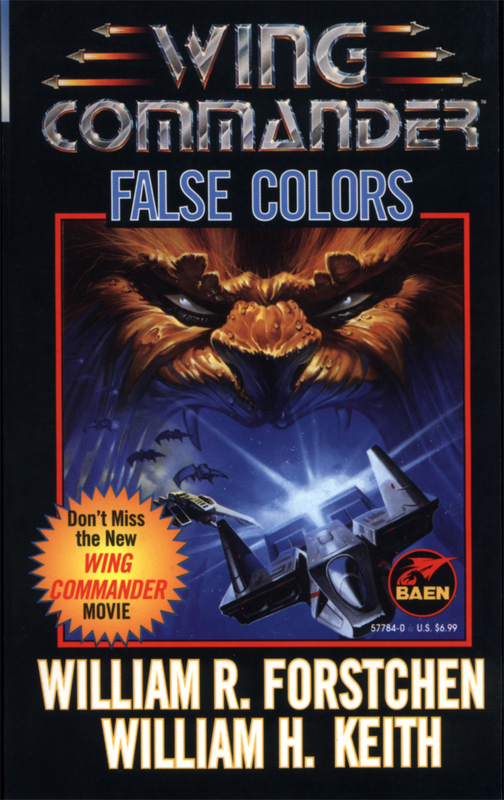 False Colors is a really fun book that fills in some of the exciting gaps after Wing Commander 3. It answers what happens to the TCS Tarawa after the war as well as the true mysterious origins of the Behemoth. 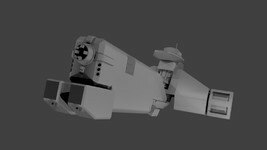 A good chunk of the action even takes place in and around one of the 22 kilometer Hvar'kann Kilrathi Dreadnoughts! 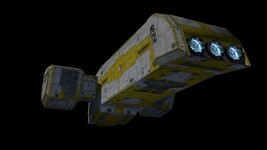 It's also a memorable experience for us as the first novel released after the CIC opened. Things like the first glimpse at the cover art and the revelation of the promo text below are things you can find in our October 1998 news archives. The original five preview chapters that we reported on more than eighteen years ago are even still hosted on the Baen website! Of particular note, you can find our pre-CIC interview with one of the authors, Andrew Keith, here. 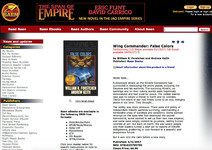 It discusses how Wing Commander novels are written and reveals the first info about False Colors - way back in 1996! The reality was more ominous. 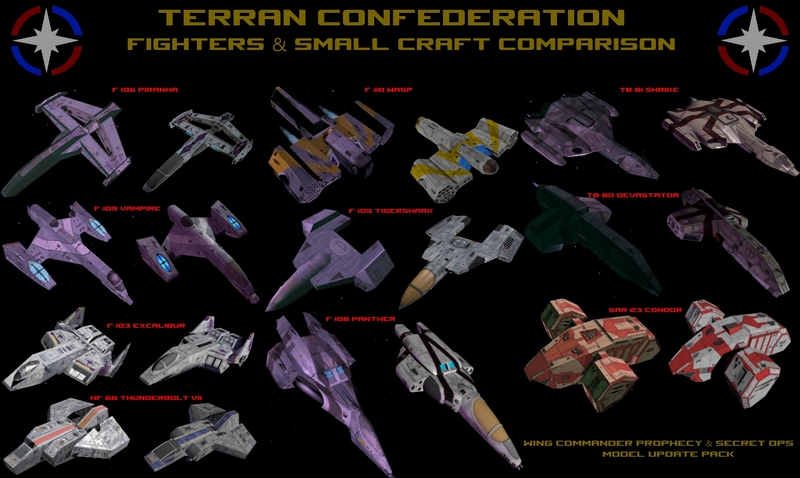 There were still plenty of independent Kilrathi warlords surviving, commanding a formidable array of warships and weaponry. Some wanted revenge on the apes who had destroyed the sacred homeworld, some wanted to set up their own new empires, and some were simply content to go pirate, raiding human colonies at will. 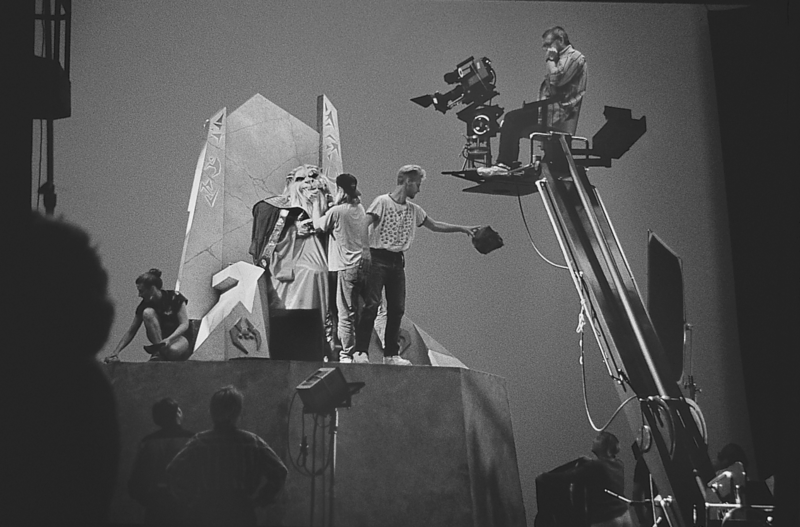 But back on Earth, the war-weary people and their leaders turned a deaf ear to reports of Kilrathi belligerence, preferring to look forward to a peaceful and prosperous future. If you're like us and still have your Christmas lights up, then this update is still just as timely as ever. 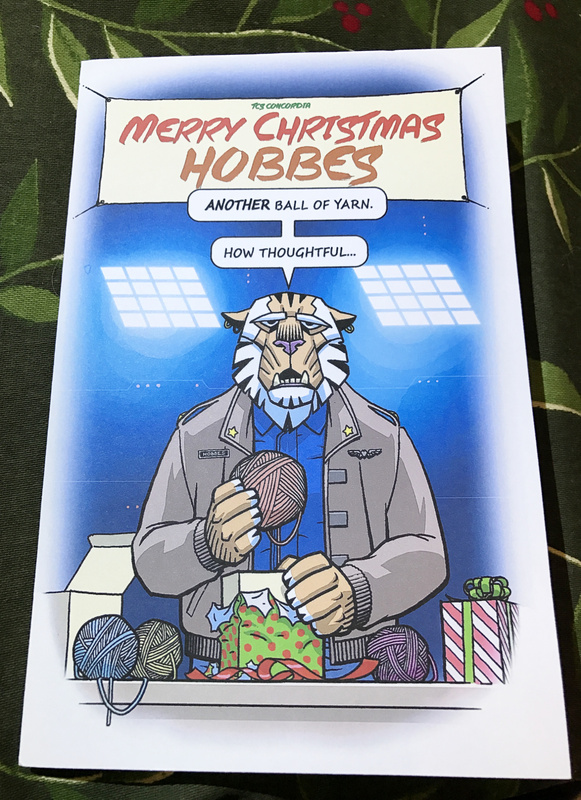 Origin artist Denis Loubet has released a public snapshot of the awesome Wing Commander-themed Christmas card he sent to his Patreon subscribers this year. Contributors also got access to high resolution digital TIFs so they could reproduce the card for their Wingnut friends in future years. 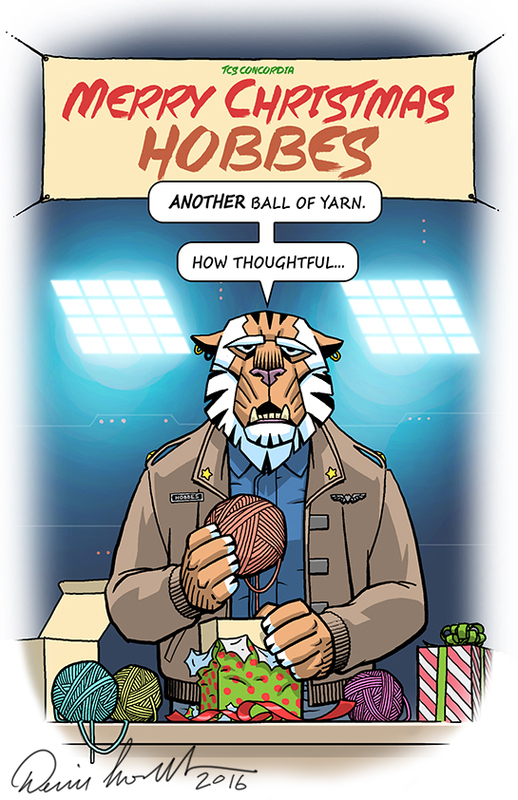 The card shows Hobbes' holiday conundrum, but reinforces that it's the thought that counts - and we're excited he thought the WC series would be the best to highlight this past year! 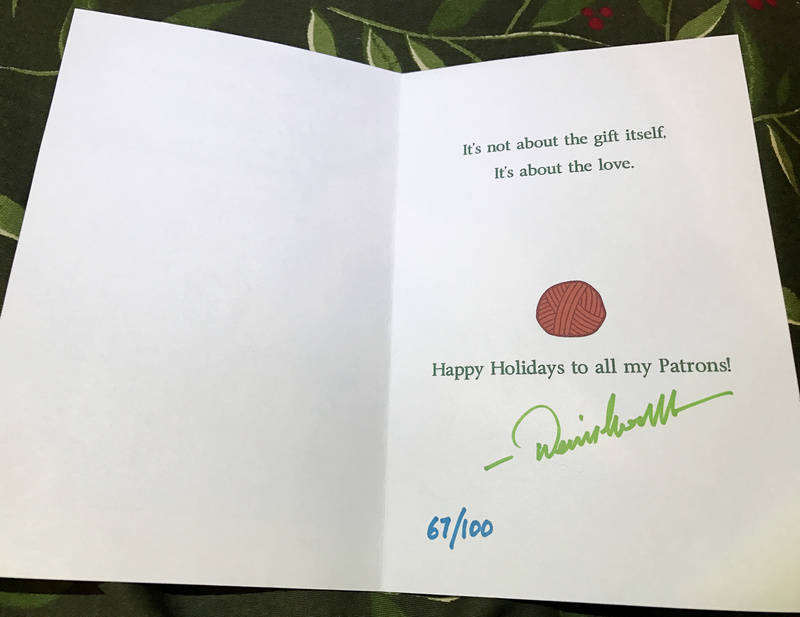 This is the Christmas card I sent to my Patrons. They were signed and numbered. It's two NinjaLA sketches for the price of one today! First is a very well done Dralthi with nice hull shading and perspective. Ninja credits his digital pencil set for helping make the drawing authentic here. 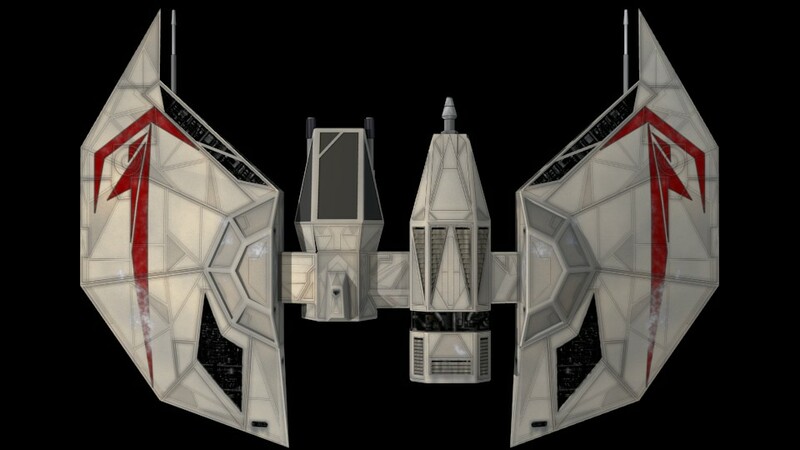 There's also a Scimitar put together at a very aggressive angle. Little touches like sparkle reflecting off the mass driver cannons, light contrails and smoke around the barrel ports make it a really solid production too! 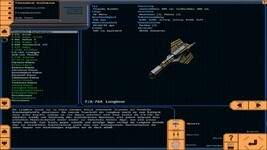 Luke and the rest of the team continue to extend and refine the Wing Commander Saga experience. The previous release (1.0.9) dated back to November and added support for creating help overlays in mods, as well as fixing a few minor language related issues. To spare you the effort of installing nine patches, they've created a service pack that combines all previous updates into one easy bundle. If you're only just getting into the game, or if your copy is far behind on updates, Service Pack 1 will bring your WC Saga Deutsch and WC Saga Plus up to speed. 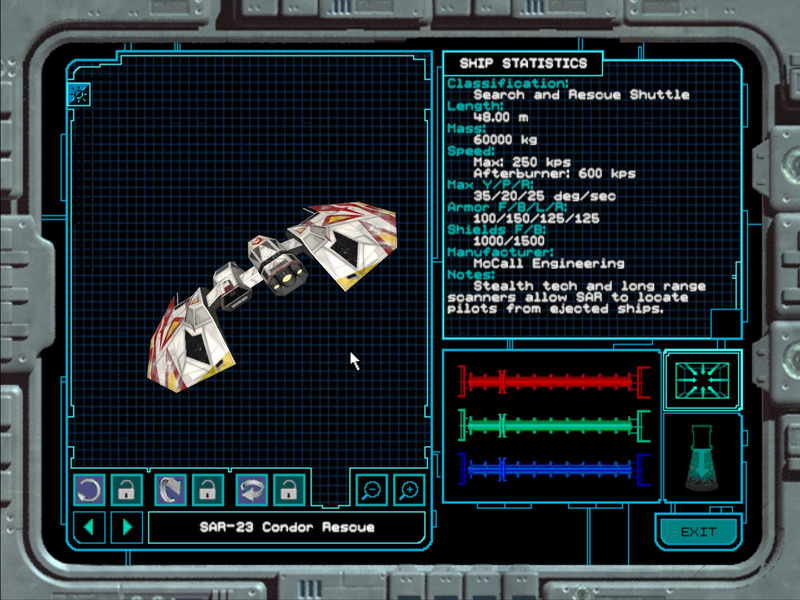 A small sampling of the upgrades to WC Saga core includes a new pilot welcome section, subtitle support, a ready room, a fiction viewer and improvements to text legibility and debris fields. Wojo has been working on his Pilgrim Legacy mod for quite some time, and although we haven't seen too many updates recently, he popped him to provide this nifty New Year's update. First up is an absolutely gorgeous starmap depiction of Pilgrim space in the shadow of the Confederarion. 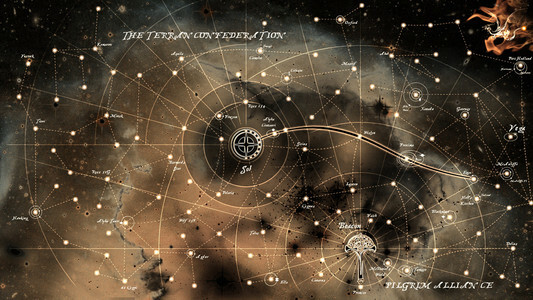 It's done in the style of the WC Movie's opening credits map and is quite stunning. Perhaps this might inspire other artists to take on other slices of the WC universe in a similar fashion. 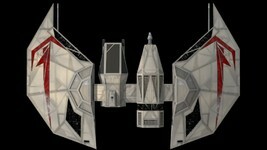 Beneath the map are also two of his new conjectural ship designs. The first is a Pilgrim "sloship" and the other is a Confederate Wildcat fighter inspired by various fan interpretations of different printed texts. It's cool to see someone exploring this aspect of history! 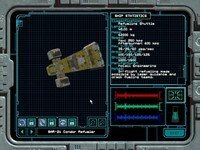 Secret Ops MUP Playable Alpha Released! 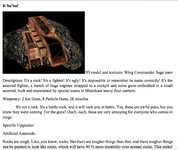 The first test release for the Secret Ops Model Upgrade Pack has arrived! 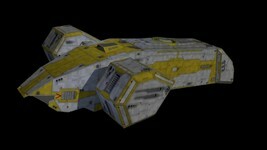 This initial version provides a massive graphical overhaul for the game with some major visual enhancements created by DefianceIndustries and Dark Sentinel. 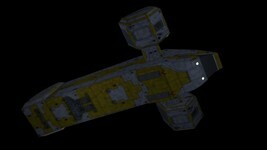 This alpha only has fighters and small craft at the moment, but capships and other items will be added in the future. PopsiclePete and Pedro have helped bundle things up nicely with the OpenGL patch so there's a neat installer that contains everything you need to get going. 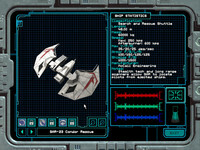 Advanced users can even dig in a bit further and tweak the game's framerate to take advantage of gr1mre4per's higher end Prophecy Unlimited features. 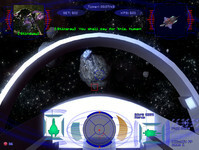 Find the simple instructions to download the game and get playing here. Adm_Maverick has also made this really cool video that shows the original intro and the upgraded introduction side-by-side. It's embedded below, but blow it up to full screen and make sure it's streaming in high definition so you can appreciate the full effect! The Price Of Freedom Is $6.99! 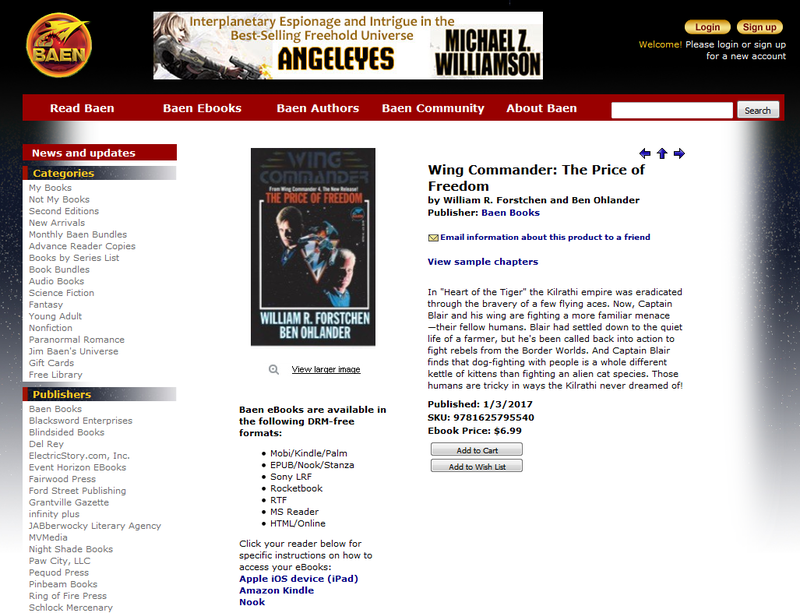 Wing Commander fans get to start the year off on high note with today's release of The Price of Freedom as an ebook! It's now available at all major digital storefronts for $6.99. As an extra bonus, anyone who preordered the upcoming Action Stations direct from Baen can access the first half of the novel now. 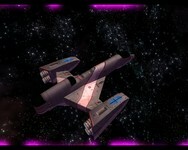 Pick up any of the four electronic novel releases from the links below. Also if anyone out there got an Amazon Echo over the holidays, don't forget that it can read your Kindle purchases aloud as audio books! The past year has been another exciting adventure for Wing Commander fans. With 366 days of material to go through, it can be hard to remember all of the significant things that happened in the past twelve months, so that's why we did it for you! 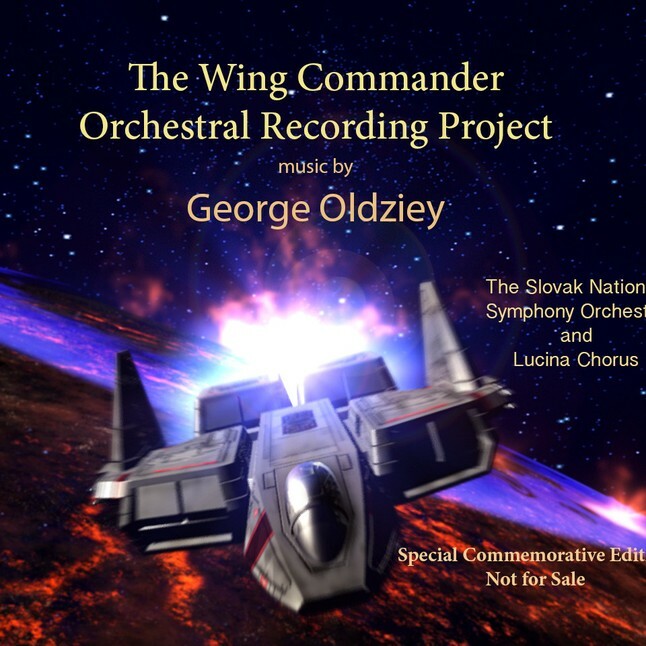 January started off with the big news that George Oldziey's physical Wing Commander album was shipping, and fans who missed the earlier crowdfunding effort even got a way to acquire a few surplus copies. 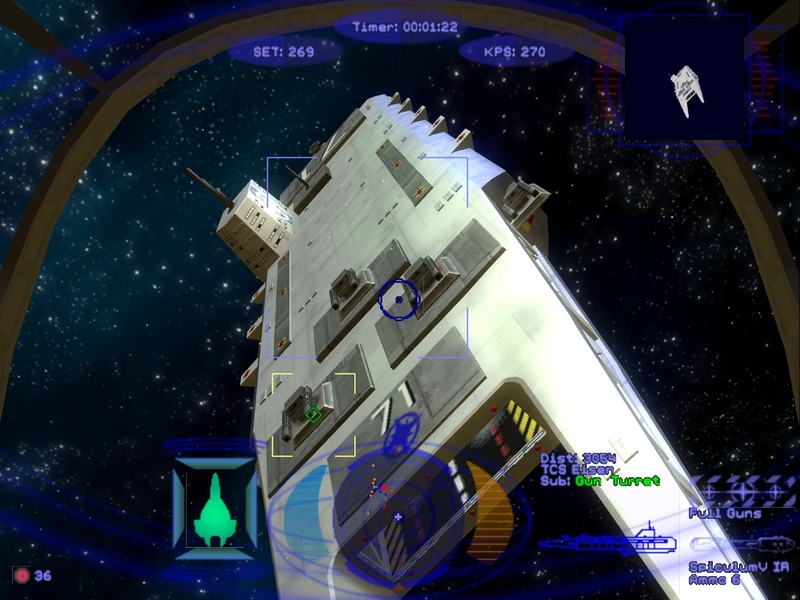 The Homeworld Remastered Mod also kicked off a steady series of major technical upgrades that kept fans' fleets doing more and more advanced maneuvers. 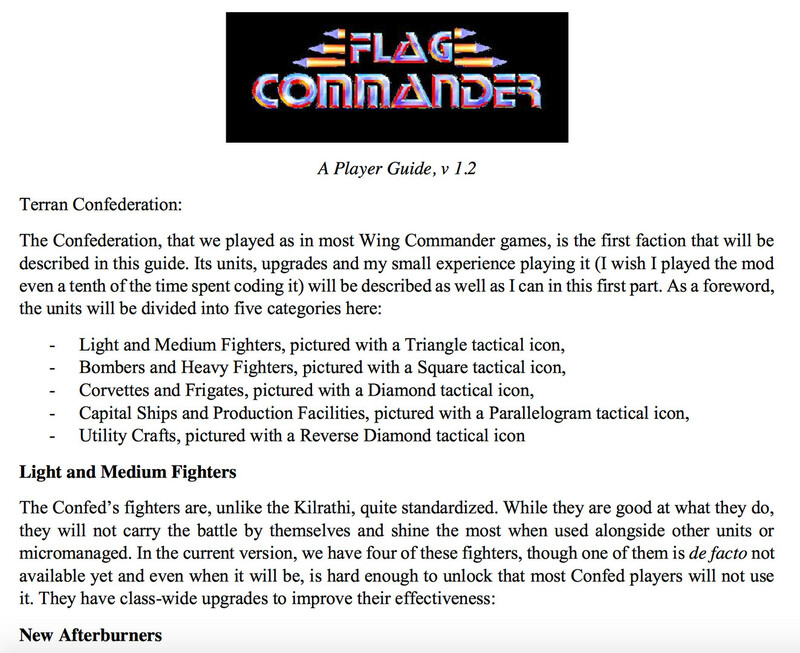 PC Gamer did a comprehensive retrospective on the most impactful games of all time, and they included Wing Commander to show that the big print publishers haven't forgotten about the series either. 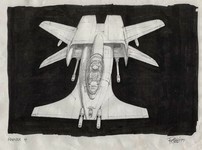 On the digital archeology front, some really cool concept images from famous sci-fi futurist Ron Cobb were unearthed. Chris Roberts did not end up choosing this direction for the Movie's visual style, but they're very neat nonetheless. February also marked the 20th anniversary of Wing Commander 4, which was just one of many major milestones during the year. 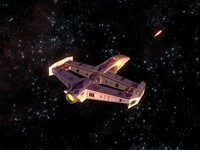 The CCG, Academy TV show, Kilrathi Saga and Privateer 2 also hit the two-decade mark. 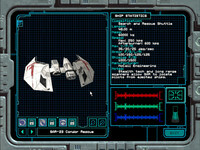 Modding got another shot in the arm with a very useful Vision Engine Tutorial by DefianceIndustries, and UnnamedCharacter posted several similarly useful updates for people curious about editing the WC1 engine. Longtime Wing Commander vet David Ladyman also had a successful springtime crowdfunding campaign for his new board game, Star Traders. 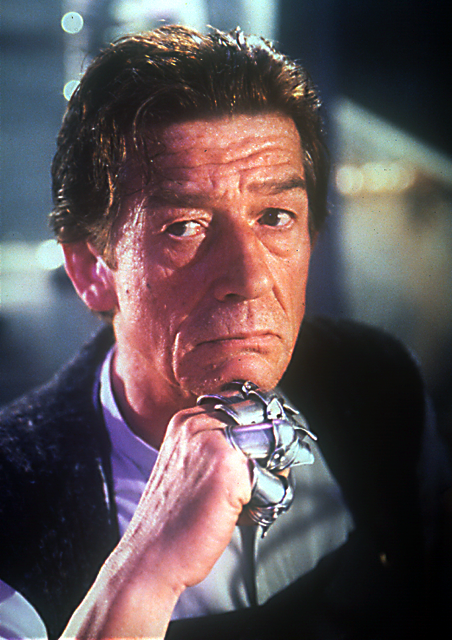 Mr. Ladyman is famous for creating much of the written lore of the WC series and helping ensure continuity throughout the '90s. He's now using the knowledge to inject a handful of really fun cameos and easter eggs in his new game, which we expect to be finished soon. The project surpassed its target by just $850, so Wing Commander fans are surely what put it over the edge! Also in the springtime, LOAF and friends were able to professionally digitize the massive universe map seen in the WC Movie's intro. Fans helped straighten it and the results are amazing! 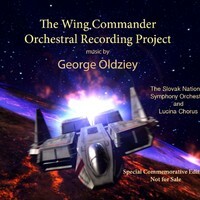 Around this same time, George Oldziey began working on a sequel to the reorchestrated Wing Commander music album. 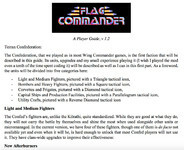 Although his fall Kickstarter didn't meet its funding goal, he continues to work on some of the preliminary elements necessary to keep the project alive and could relaunch the project this year. 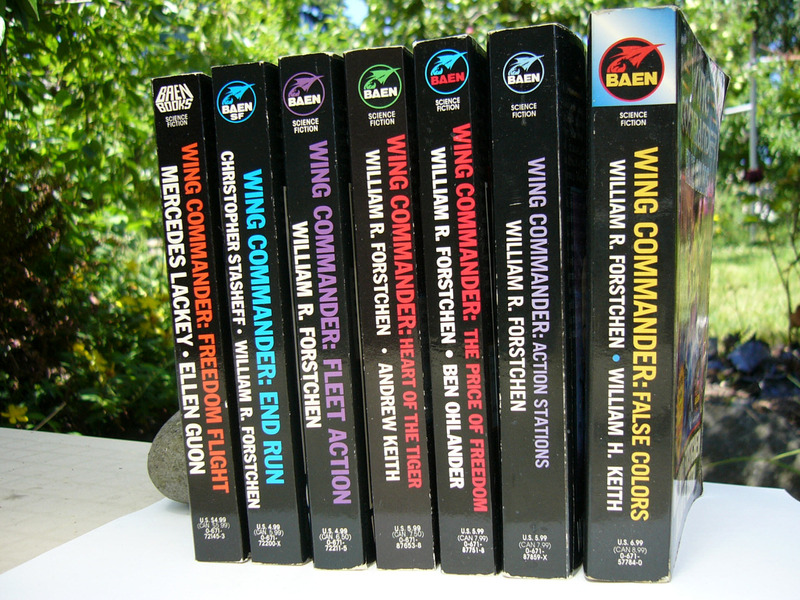 A huge summertime bombshell was the arrival of the first official Wing Commander ebook! 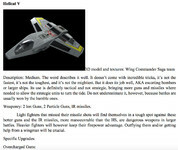 Baen released Freedom Flight in July and went on to follow it up with Fleet Action and Heart of the Tiger. The Price of Freedom and Action Stations are confirmed for 2017! Speaking of novels, some Russian translations also surfaced, which doesn't happen every day. The CIC celebrated its 18th birthday in August, and among a great many awesome fan creations, Joe discovered some cool unused art assets which are thought to possibly have been intended for the WC2 intro. 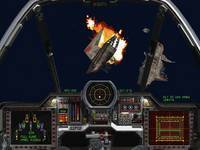 The timing also segued nicely into the 25th anniversary of Wing Commander 2 at the end of summer. 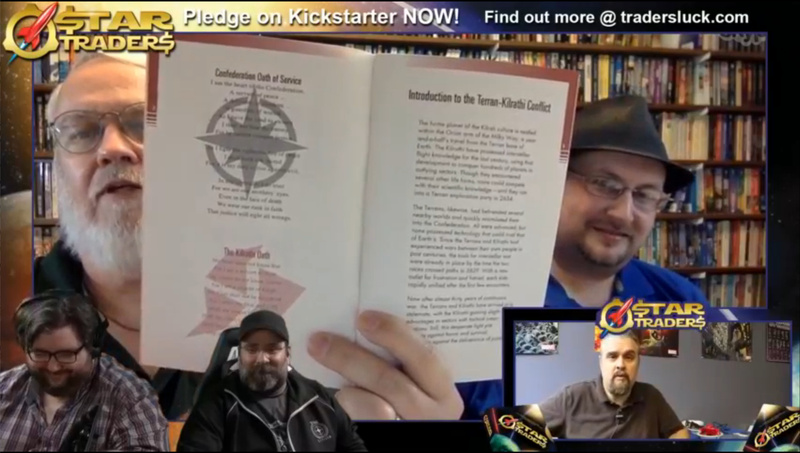 We celebrated with a rock in' livestream that successfully pushed the Kilrathi out of the Enigma Sector! 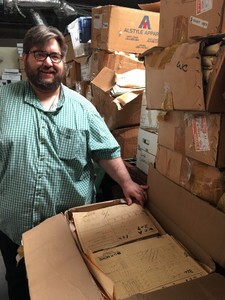 In October LOAF launched his first personal Kickstarter with a plea to save dozens of boxes of priceless material created during the development of the Academy television show. Fans response was very strong, and the target necessary to purchase everything from a distributor was achieved in just ten days! There's a lot to go through, and figuring out just where to begin is a challenge in itself, but we look forward to seeing some of this cool content in 2017. 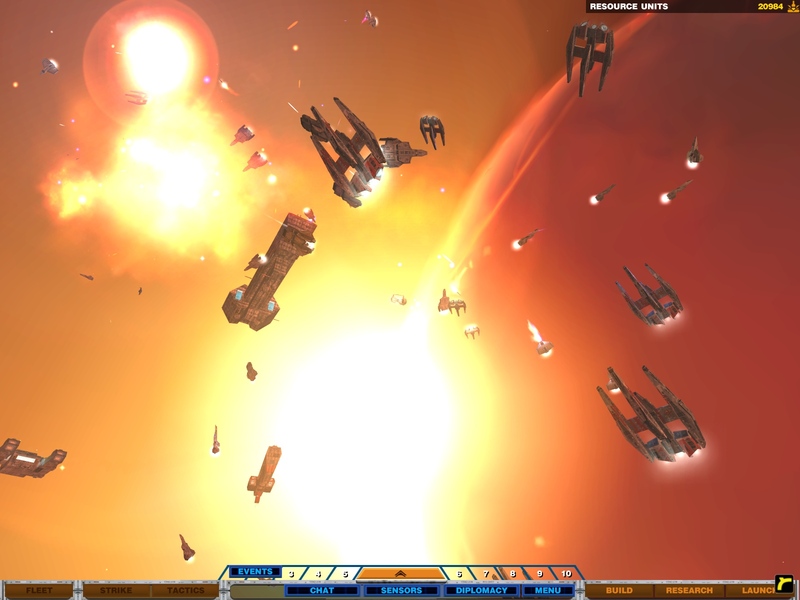 On the subject of saving classics, GOG surprised everyone with a new Origin space sim for its lineup in November. 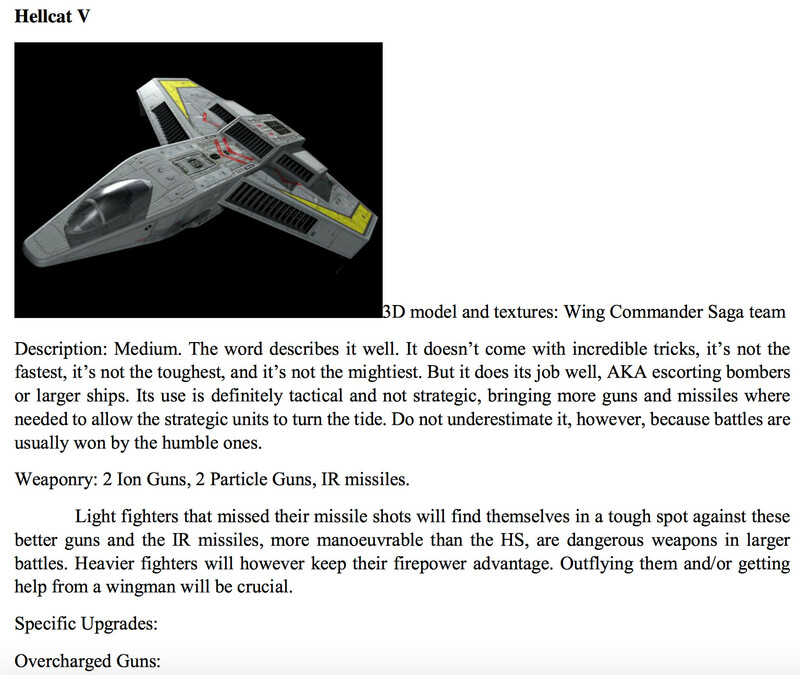 Space Rogue shows off the state of the art from just a couple years before Wing Commander made its epic debut. 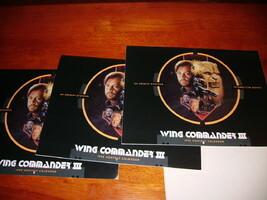 It also came to light late in the year that a Finnish orchestra had been playing a Wing Commander medley in concert throughout the year. Fans who missed out on that opportunity have another chance to catch WC music live in concert in Sweden just a couple weeks from now! Wingnuts got a few final treats right at the end of the year. 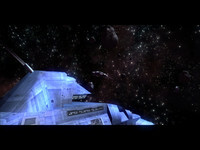 Senior Origin artist Denis Loubet chose a Wing Commander scene as the setting for his annual Christmas card. 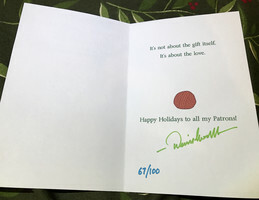 Supporters on his Patreon account got a very cool momento featuring Hobbes for the holidays! Fans also got their first chance to try out the long-awaited Secret Ops Model Upgrade Pack! It's been another incredible year, and we're looking forward to everything 2017 has in store! Happy New Year Wingnuts! It's 2017 and we have a fresh opportunity to make another exciting year for the WC community. 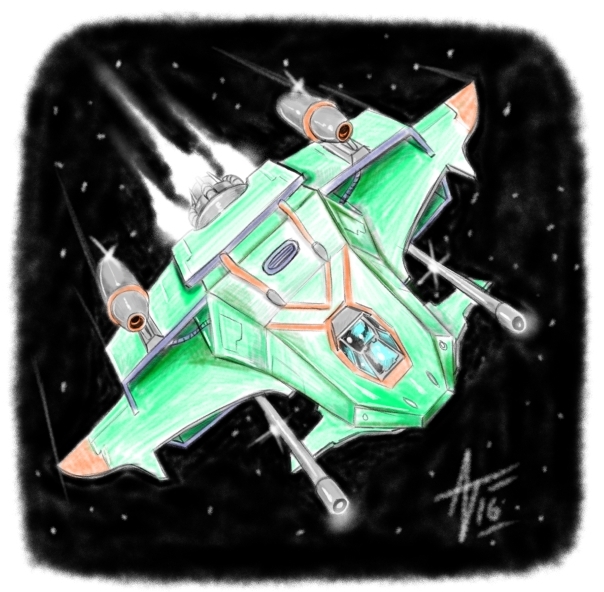 All of the fan projects and websites highlighted yesterday give us considerable inspiration to move forward and see all of the amazing things they come up with in the year ahead. We'll also be taking another look back at all of the major news from across 2016 in tomorrow's update. In the mean time, you can now vote in our annual prediction poll. 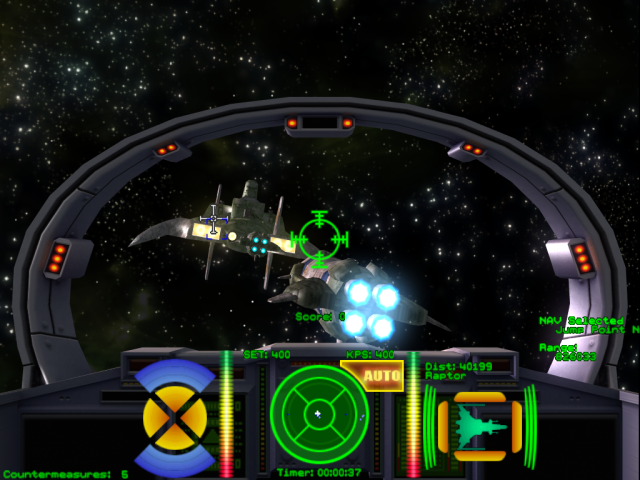 How do you think 2017 will be for Wing Commander fans? The old poll asked who has the best haircut - a critically important question that we've long neglected to ask. 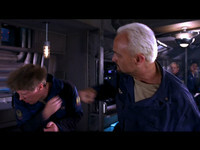 Angel took a commanding lead with nearly twice the votes of Iceman and Jazz who tied for second. Doomsday came in last, and Bossman was second least favorite. I always thought Bossman had a decent cut, but it certainly doesn't have the flair of the top three!